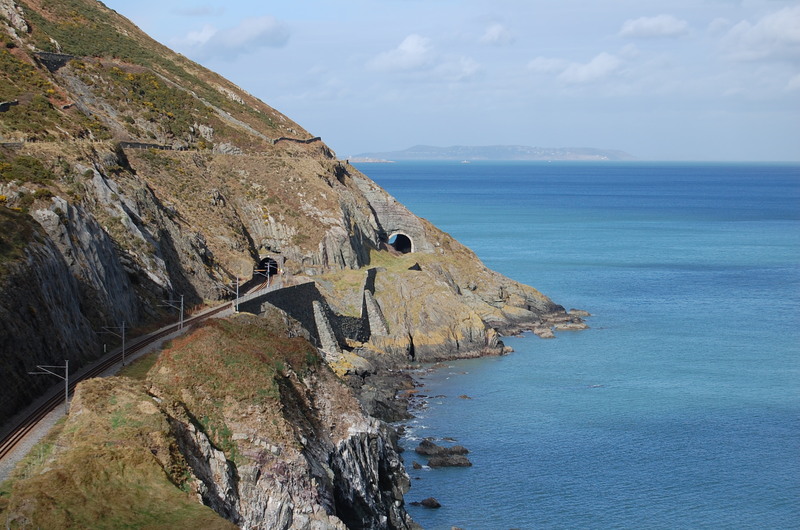 Dublin is full of attractions that will enhance your travel experience in Ireland with exciting things to do in Dublin. The city is small in comparison to other major cities, but it still has plenty of choices and offers days of sightseeing. 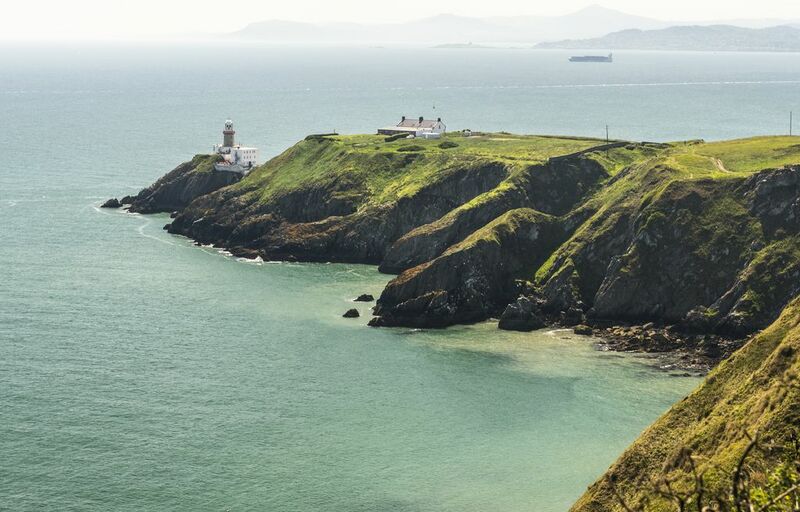 This blog post is a continuation from our previous blog 10 of The Most Popular Things to do in Dublin. 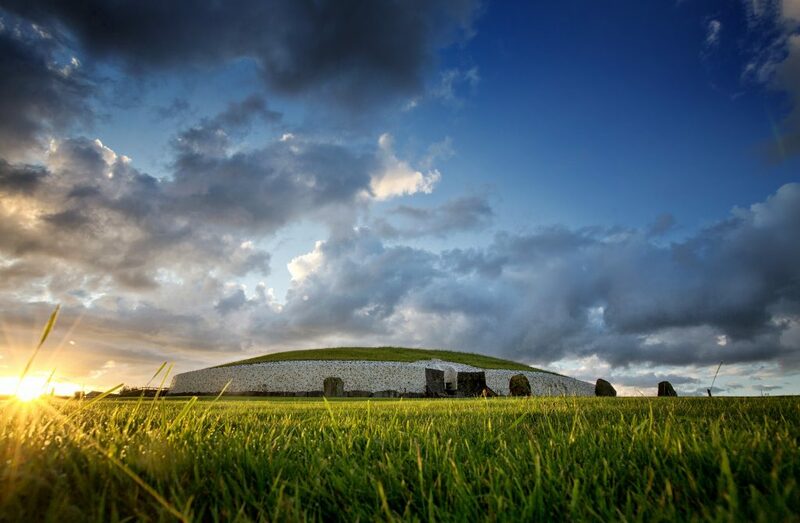 Dublin has a long eventful history from Viking invasions, civil wars and rebellions just to name a few! 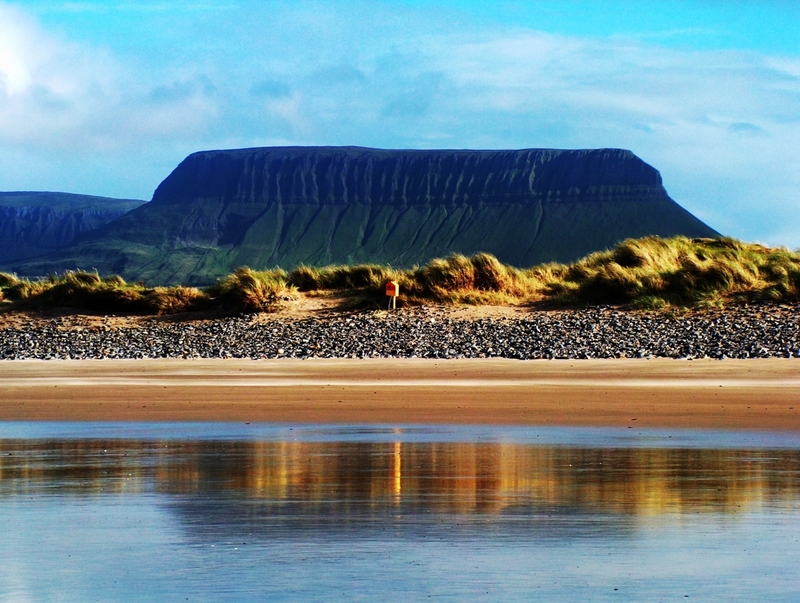 Dublin is close to beautiful beaches and mountains, and are all within thirty minutes or less from the city centre. This makes the city special by giving yourself a big city feeling as well as getting lost in nature and the outdoors if you wish. 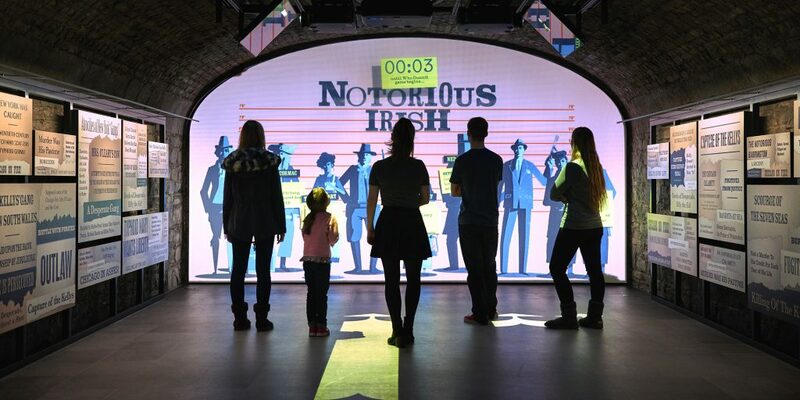 Dublin has many great attractions but a visit to EPIC The Irish Emigration Museum should be on everyone’s to-do list. 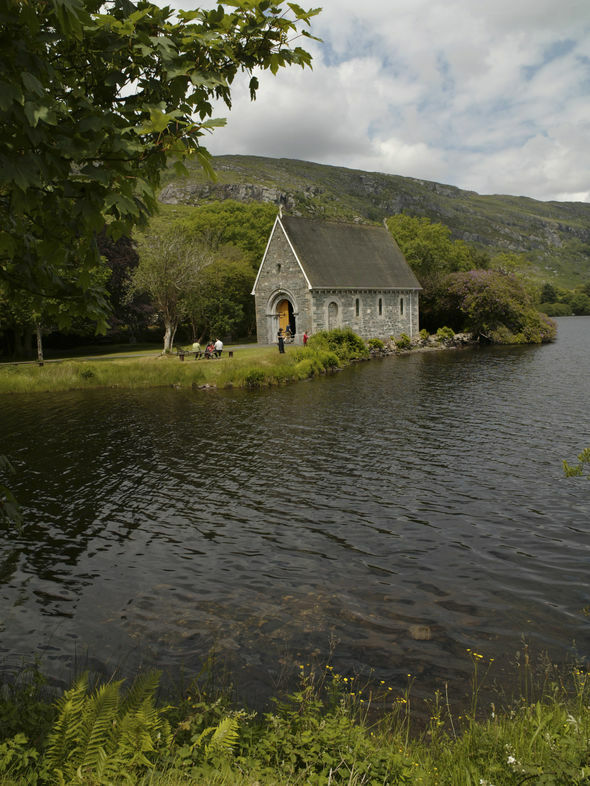 The museum will take you on a journey through Ireland as a country of emigration. 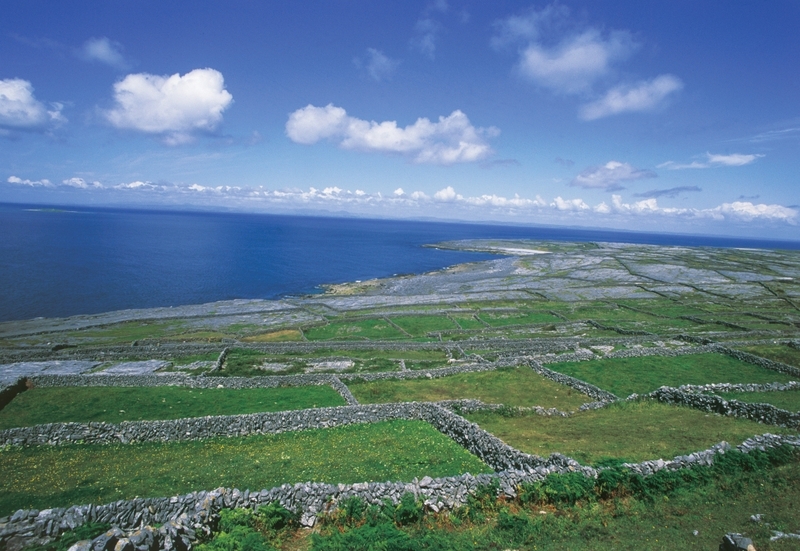 Learn about the reasons why 10 million people left Ireland and the impact that it had on the world. 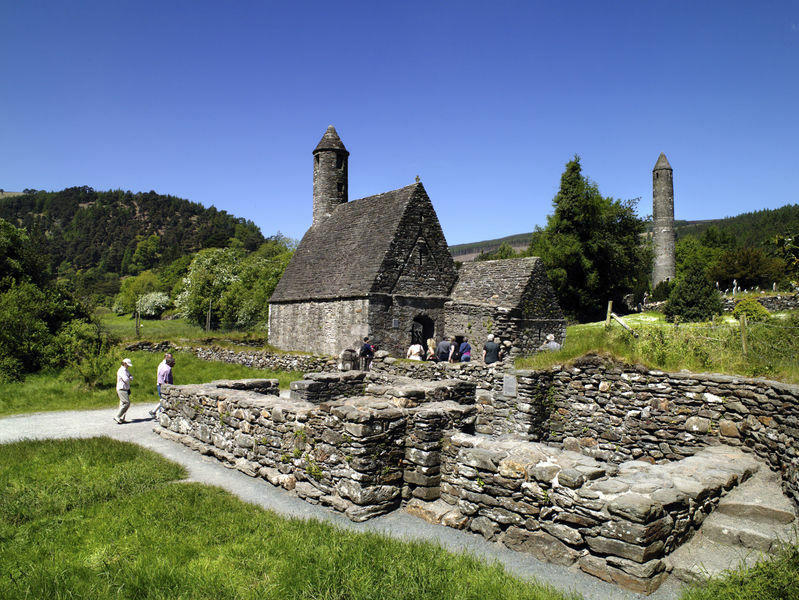 You will understand Irish culture through this very interactive museum. 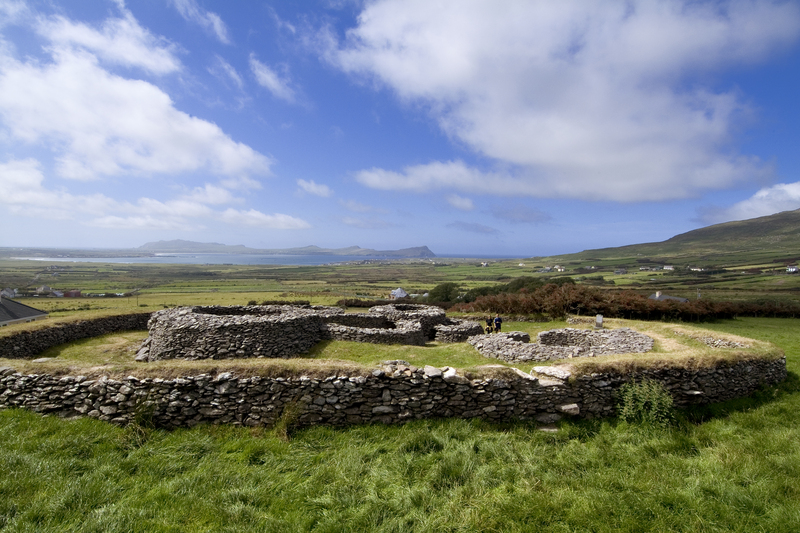 After a visit to EPIC, you will be fully informed of the influences Irish history on international society. Part of the great charm of Dublin is its variety of bars and what each offers. They give you a unique insight into the Irish drinking culture of past and present. 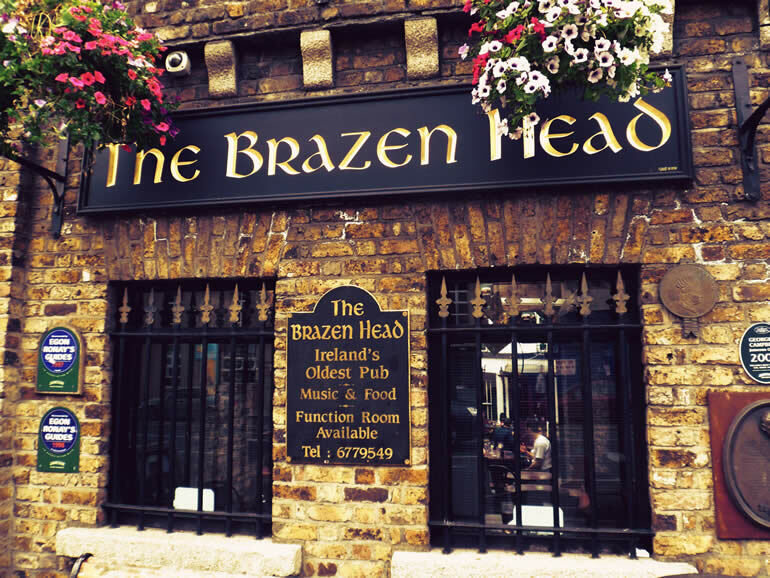 The Brazen Head is Dublin’s oldest pub and it is full of charm and character. 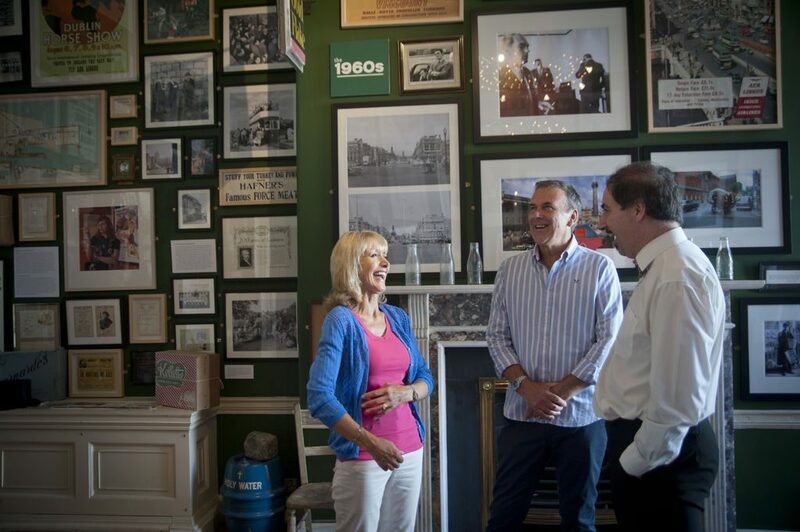 Through the history of the bar, if the walls could talk, there would be many a good story to be told!! 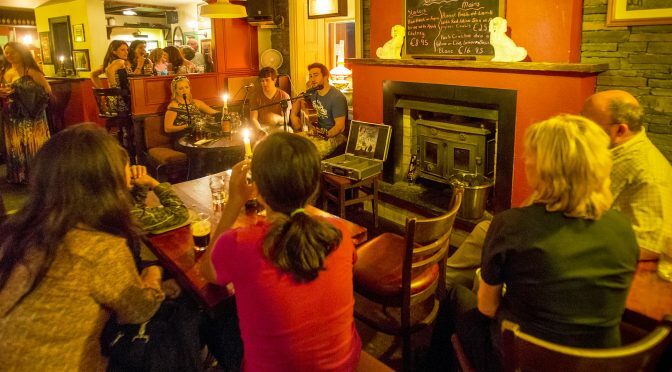 This 12th-century pub has entertained customers including Daniel O’ Connell, Michael Collins and James Joyce to name a few. 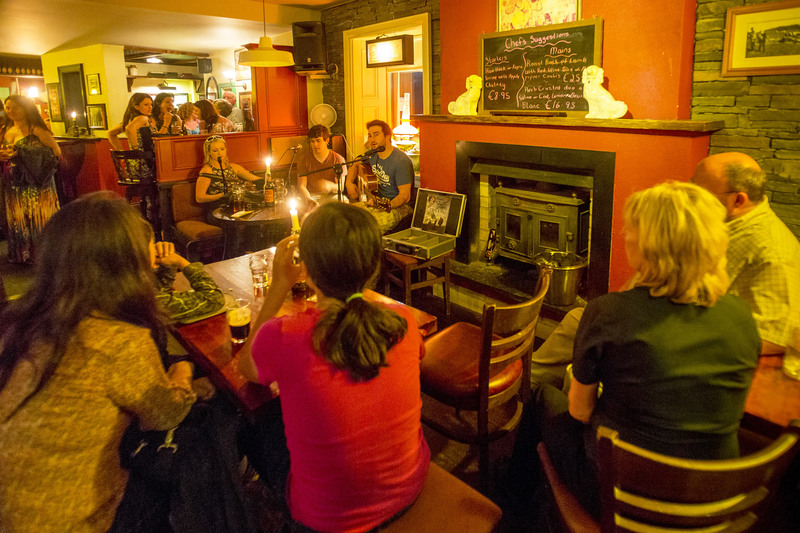 It is the perfect place to enjoy some fresh ales on tap and some delicious Irish dining. Ireland has a proud tradition of producing high-quality food and Dublin has a great sample of international eateries to suit all tastes. Like anyone on vacation, eating is part of daily life and it is important to find good, nutritious and locally sourced produce. 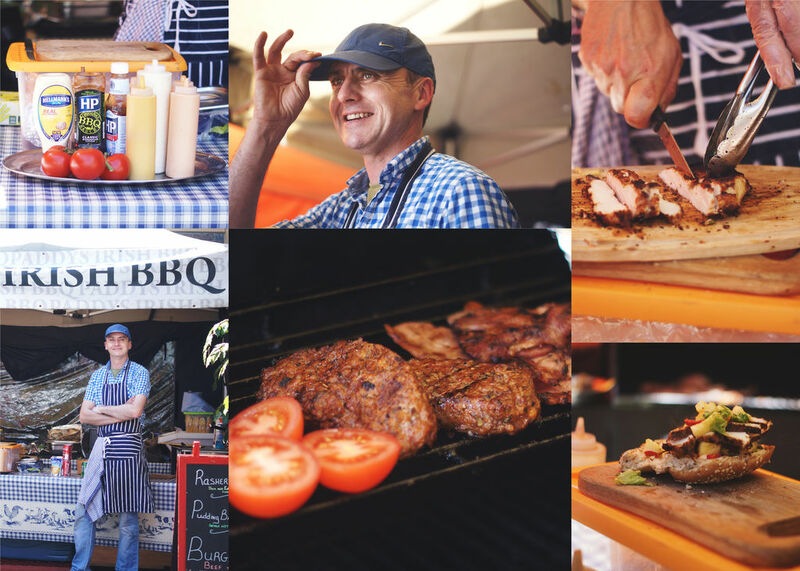 A great way to learn about the Dublin food scene is to take the Delicious Dublin Walking Tour that is done by Ketty Elisabeth of the French Foodie in Dublin blog. Another good option worth considering is Fab Food Trails. 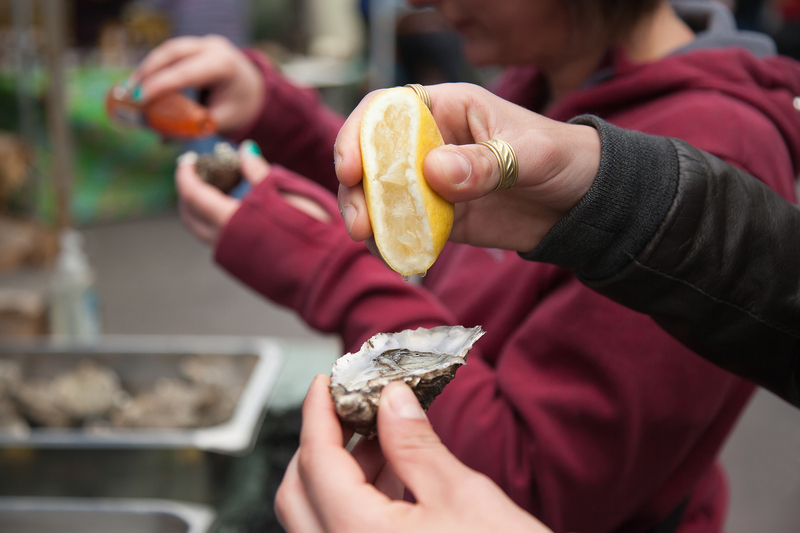 The guides on this tour are well-known food critics and will be able to inform you about Dublin’s artisan food scene. While on vacation sometimes, it is about exploring away from the well-known locations and finding some off the beaten track places — The Great South Wall fits into this category. 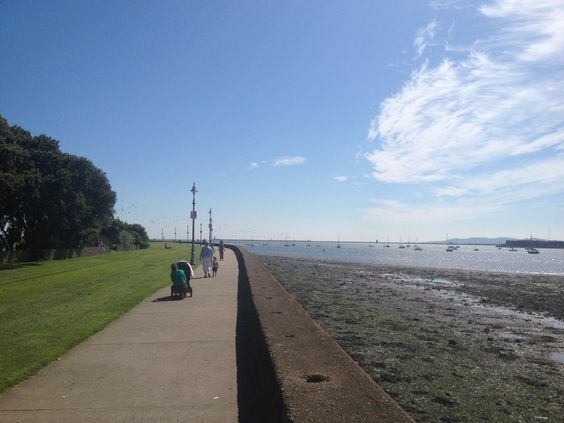 This amenity is quite close to the city centre so there is no need for a car or anything and it is great to walk all the way out to Poolbeg Lighthouse. There is some walking through industrial warehouses but it’s worth it as it offers amazing views of Dublin Bay, Sandymount Strand and Dublin Mountains. 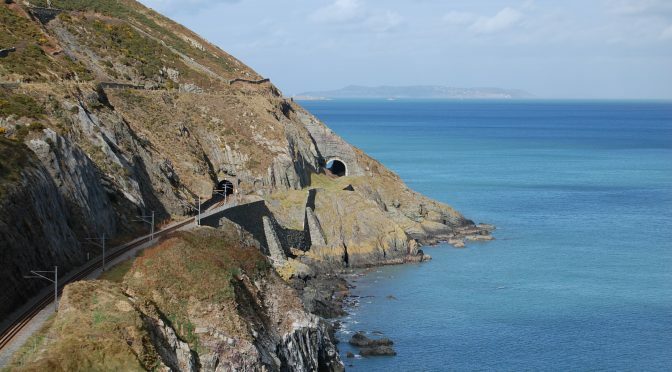 Dublin Bay’s Great South Wall dates back to 1716 and is part of Dublin’s heritage and definitely one of the things to do in Dublin. Another museum that is worth a visit in Dublin is The Little Museum which tells the history of the Irish capital over 100 years. In 2011 this museum was launched with historic objects donated by the Irish people and currently, it has over 5,000 artefacts in the collection. For this, it is nicknamed the “people’s museum”. 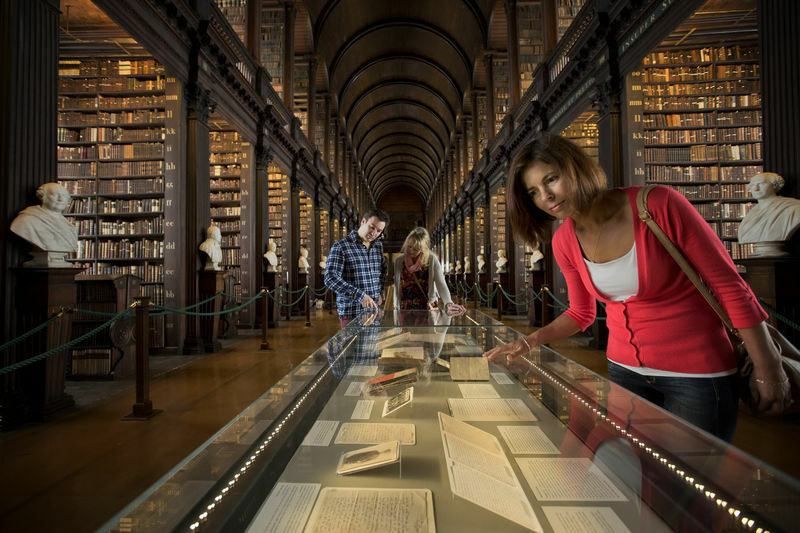 This museum is highly regarded and it is one of the top museums in TripAdvisor’s ratings and Irish Times newspaper voted it as “Dublin’s best museum experience”. 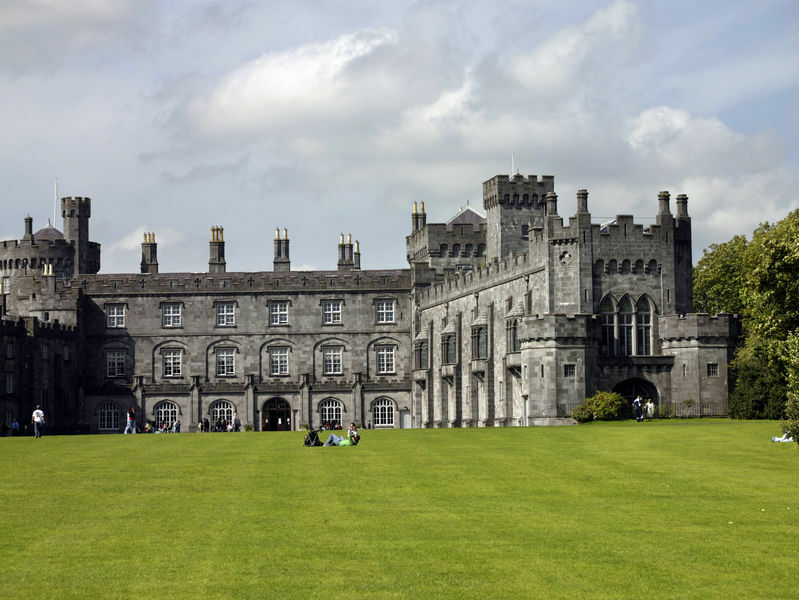 You will have the chance to see the cultural and social history of Dublin in the 20th Century. Ireland is well known for its fine quality whiskeys. The Teeling Whiskey is the newest addition to Dublin in over 125 years. 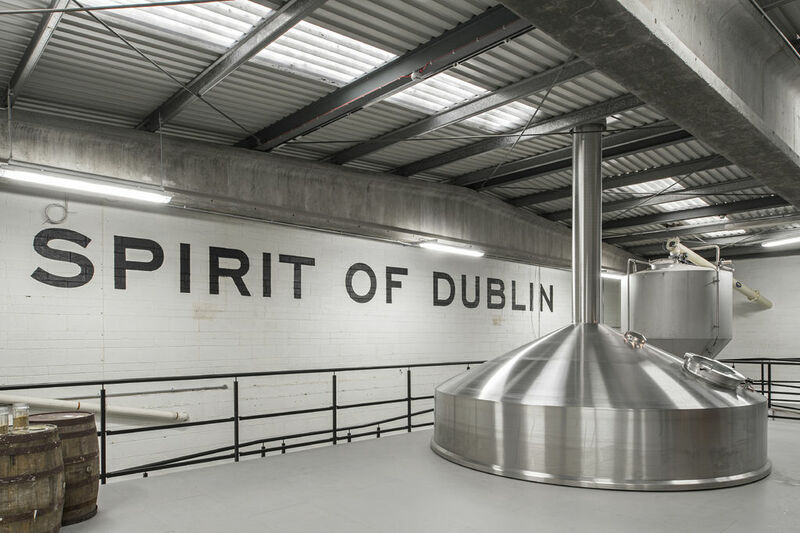 It is located in the heart of Dublin City and the distillery is a fully functional pot still refinery producing over 500,000 litres of spirits each year. The distillery is extremely innovative and are able to craft distinctive whiskeys with their intelligent fermentation and techniques. What makes this distillery special is that you will be able to see how a real distillery works. 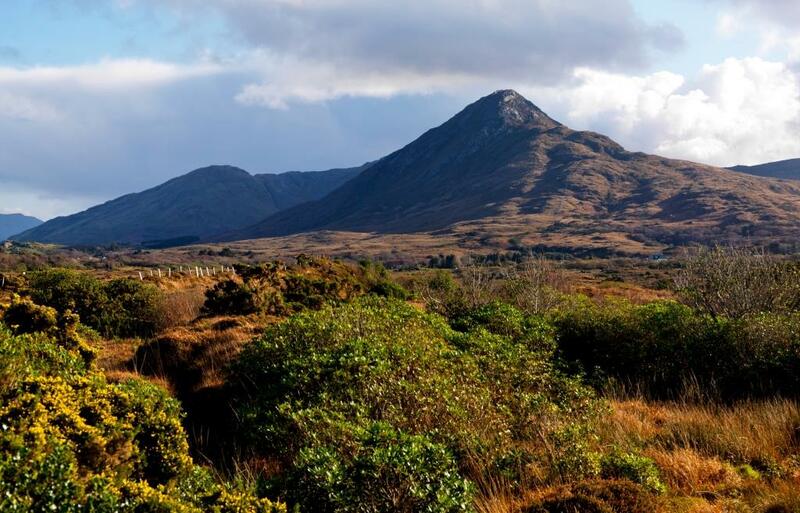 This is a great opportunity to discover everything you want to know about whiskey and distilling in Ireland. Croke Park is Ireland’s biggest stadia with a capacity of over 82,000 and is home to Ireland’s National sports of Gaelic Football and Hurling. 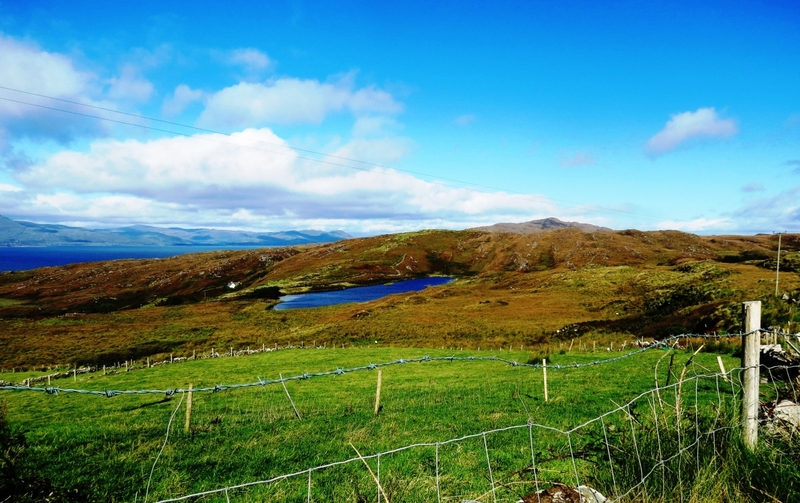 You can take a stadium, museum tour and learn about the varied history that the Gaelic Athletic Association and how it played an important role in Ireland’s history. 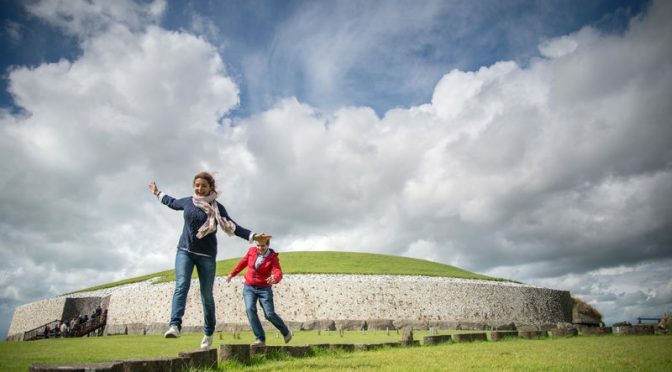 During the summer months, the stadium is a hive of activities and if in Ireland during the weekend of a game, it is worth a visit and to hear the Irish people explode into colour as they support their counties. 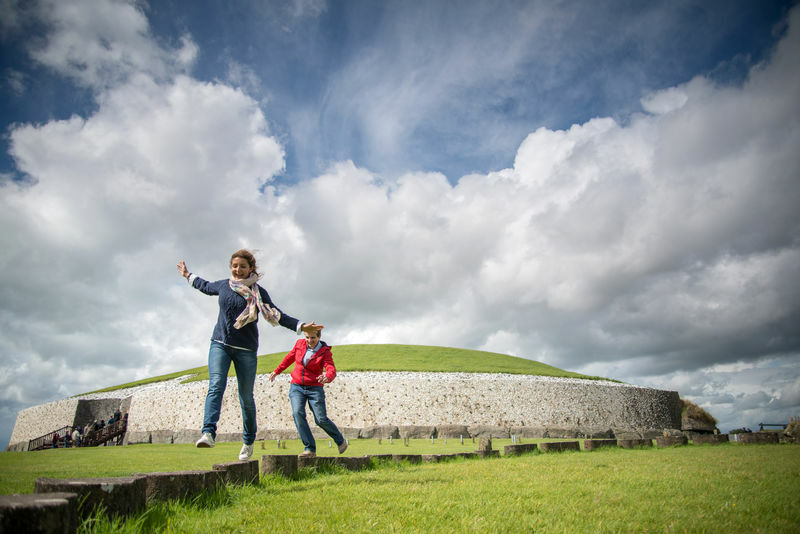 This stadium and museum tour is highly interactive and gives a great experience of learning about the national sports in Ireland and its influences in Irish society. 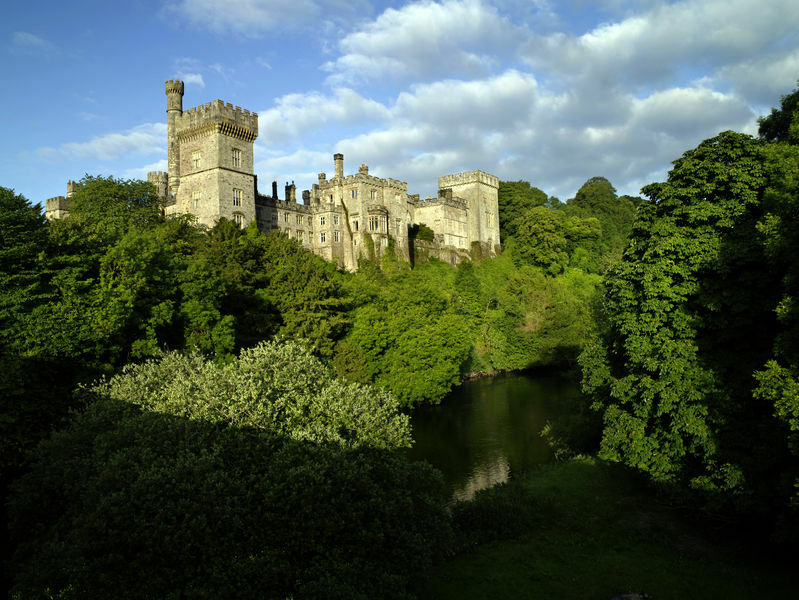 Located in the suburb of Glasnevin approximately less than half an hour from Dublin City Centre. 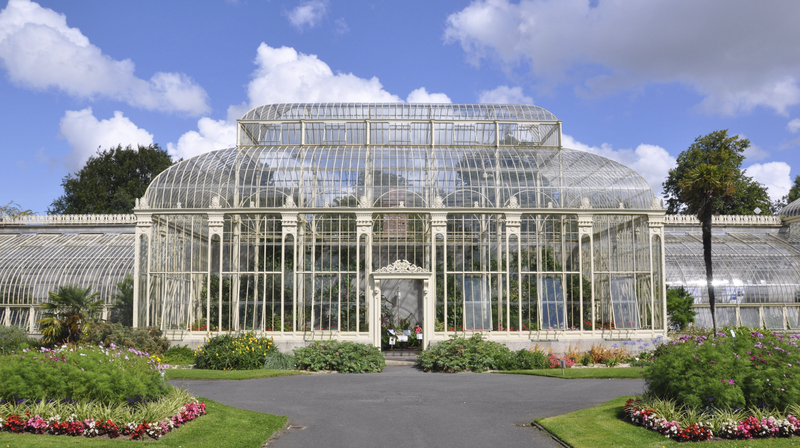 If gardens are of interest to you and want to take time out from the hustle and bustle of the city — The National Botanic Gardens of Ireland are an ideal oasis of calm and beauty. Entry to the gardens is also free. 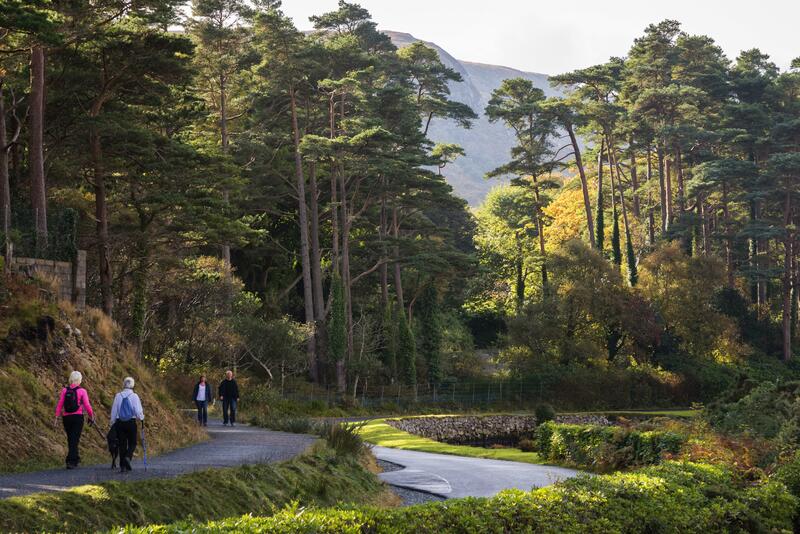 You can wander through the extensive collection of plant species and cultivars from all over the world. Very close to the botanic gardens is John Kavanagh “The Gravediggers” which is built into the walls of Glasnevin Cemetery one of the most famous cemeteries in Ireland. It gets its nickname from gravediggers who used to come in for a few drinks after digging. This bar is one of the oldest bars in Dublin and very popular as a location in the film industry and commercials. 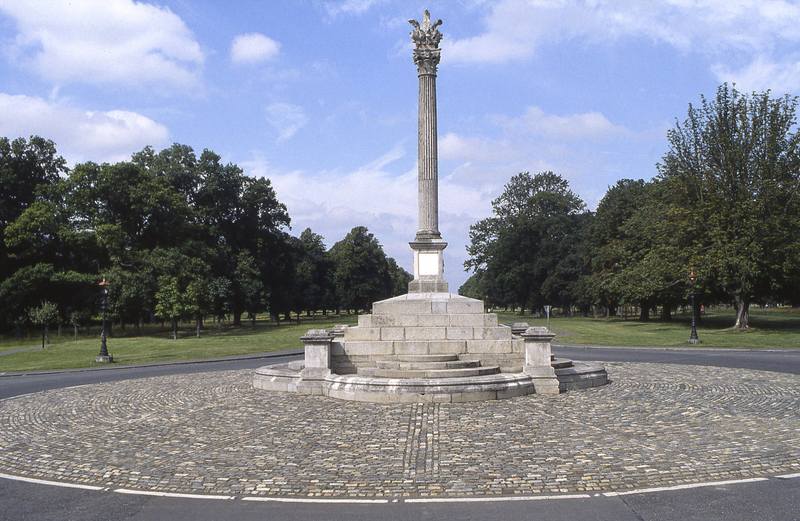 Phoenix Park can take great pride in being the largest enclosed park of any capital city in Europe. The park was originally formed as a royal hunting park in the 1660s and it opened to the public is 1747. On a visit to Phoenix Park, you will come across some fallow deer that can still be seen today. The actual size of the park in 1,750 acres. 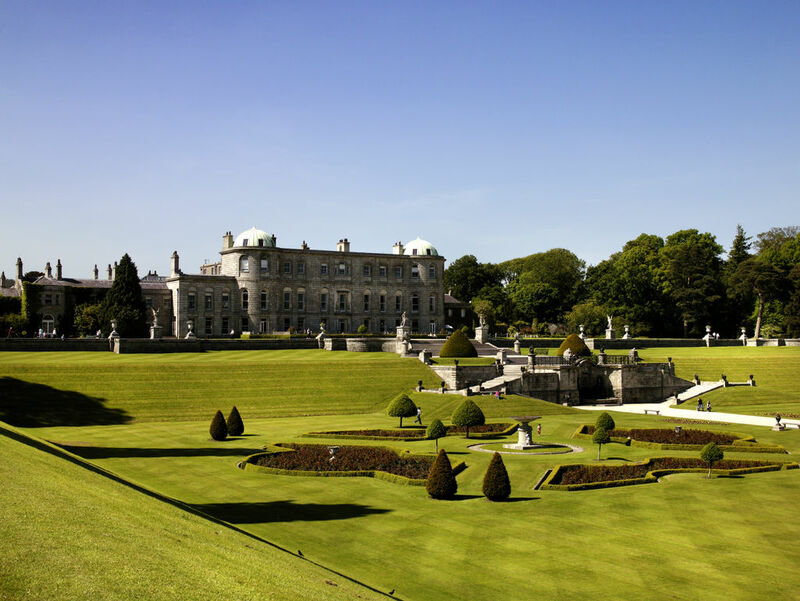 Inside the park, you will find some beautiful stately homes, such as Áras an Uachtaráin — home of the President of Ireland and the America Ambassador has a residence there. 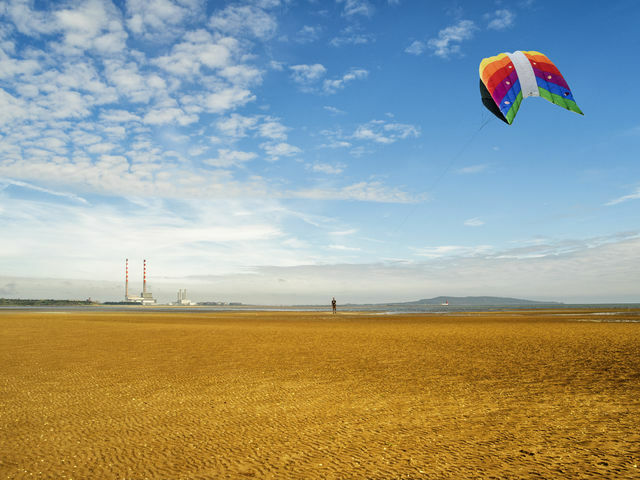 It is one of the great things to do on a visit to Dublin, with the park only a half a mile from Dublin City Center. 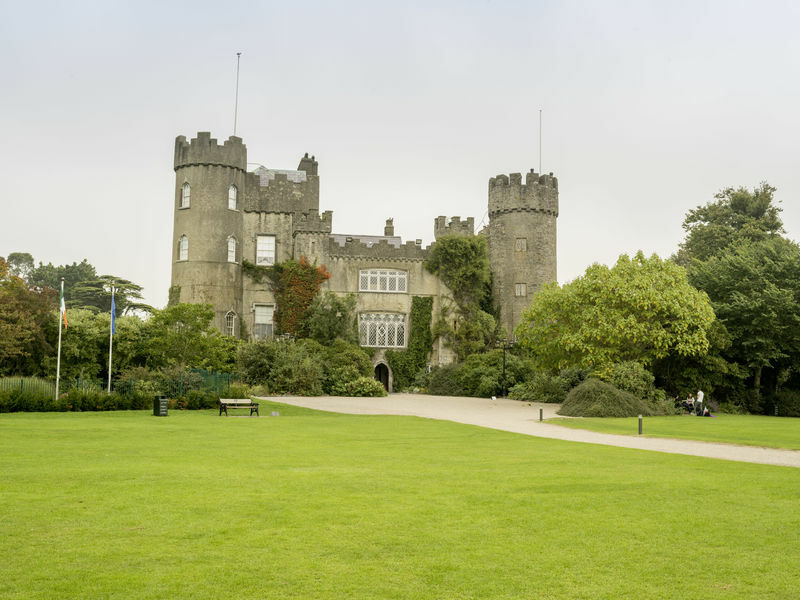 It is also home to Dublin Zoo, which offers a great experience while on a visit to the park. It is great for walking, cycling, exploring nature and for recreational running. Having the chance to experience a St Patrick’s Day in Ireland is something special to cherish. St Patrick’s Day takes place on the 17th of March and revolves around festivals to promote everything Irish. It marks a traditional turning point in the weather calendar with the days getting longer and can be seen as the end of Winter and the arrival of Spring. 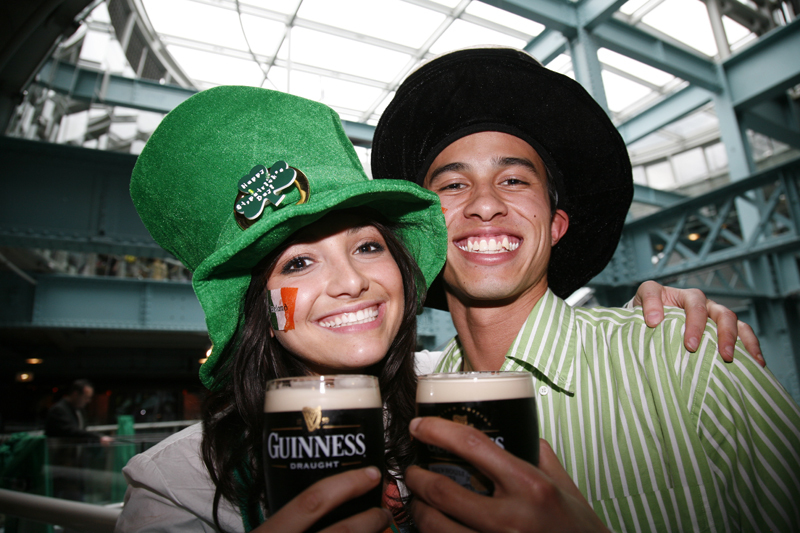 St Patrick’s Day is celebrated all over the world from Dublin to Australia and beyond. The legend of St Patrick was that he got rid of all the snakes out of Ireland!! 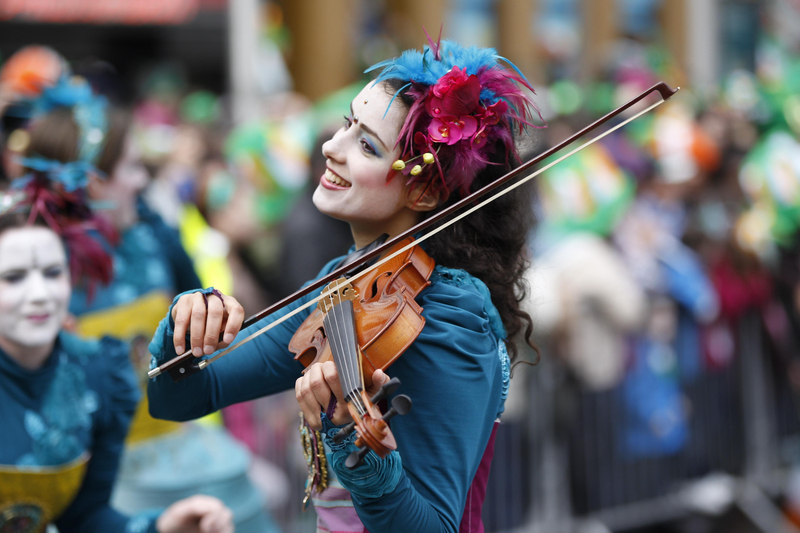 The festival in Dublin is the biggest in the country and well worth visiting – it is full of colour. 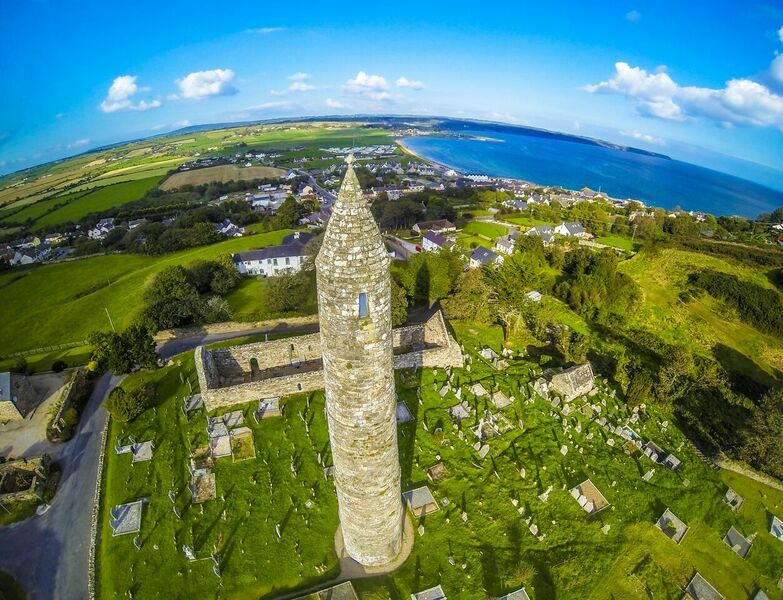 There are also lots of other towns and cities around Ireland with great festivals to visit if you can’t make Dublin. Dublin’s Festival is the most well known in Ireland and is broadcast live on TV. 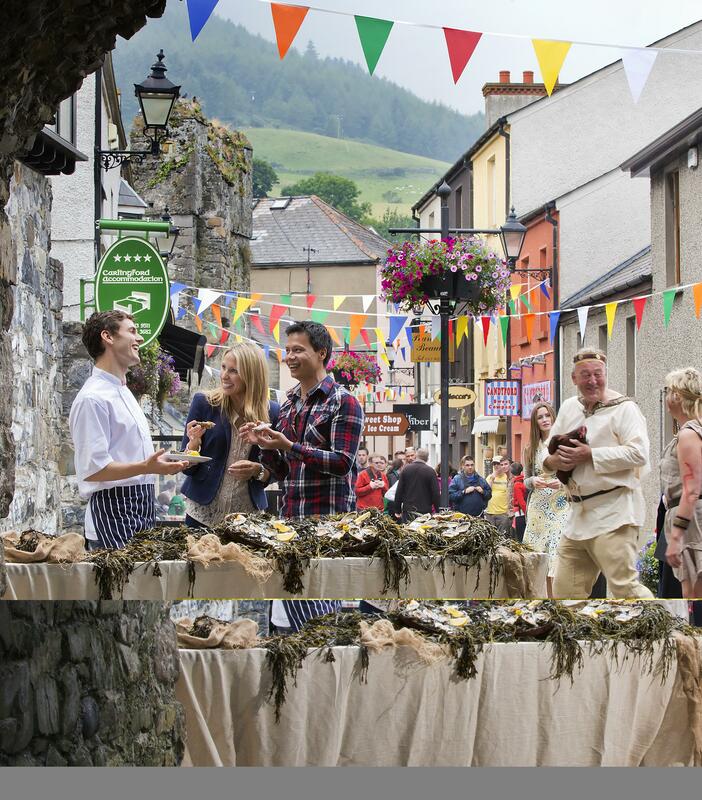 The festival each year carries a theme and it expresses Ireland through the creative arts of people and puts on an outstanding spectacle for everyone. 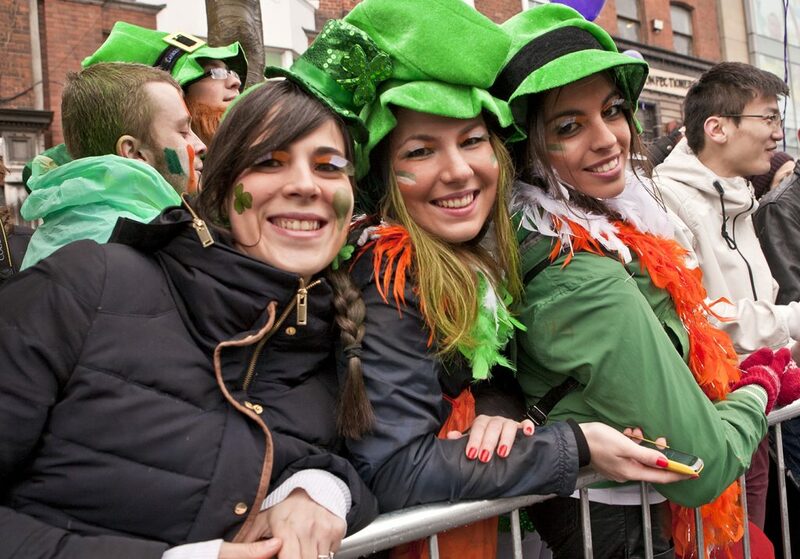 You will see street parades, ceilis and a great atmosphere in the pubs with everyone dressed in a sea of green. Many of the famous Dublin landmarks will turn green for the day. 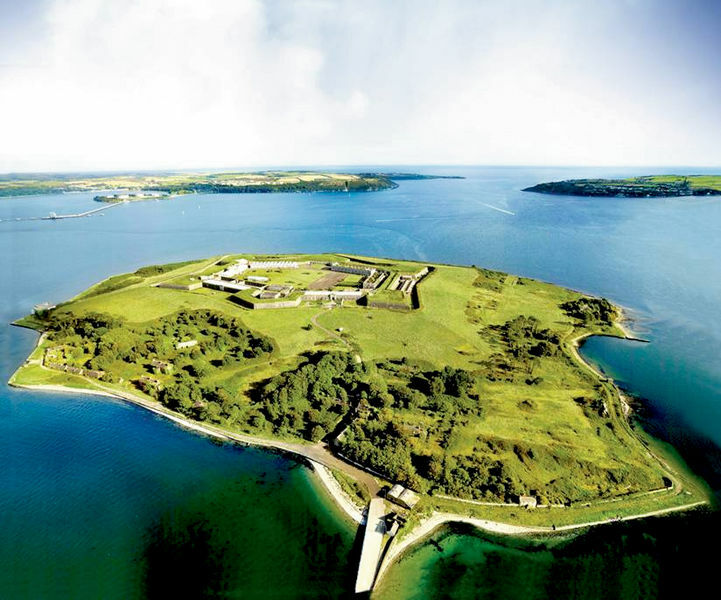 Cork is Ireland’s second largest city and is a great place to enjoy St Patrick’s Day in Ireland and it puts on a jammed packed festival every year. It has a number of events throughout the city with plenty of street entertainment. One of the most iconic buildings in Cork turns green – Cork City Hall. If you want a great place to view the parade & head to the South Mall area of the city where all the parade performers will be exhibiting their talents. Limerick St Patrick’s Festival gives a great opportunity to celebrate Ireland’s National Holiday over a number of days. 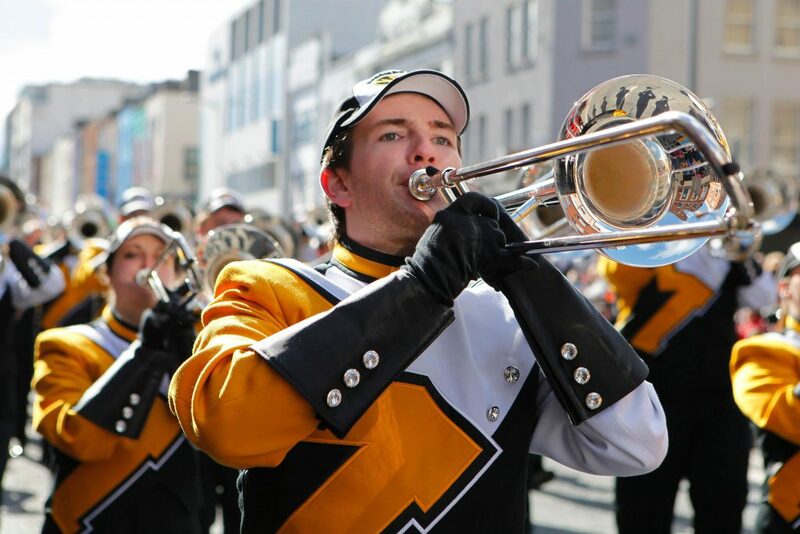 Some special features of the parade are Ireland’s only band championship with over 1,300 musicians taking part, with an epic fireworks display, a 40-foot panoramic wheel that gives excellent views out over the city and a museum of the moon. 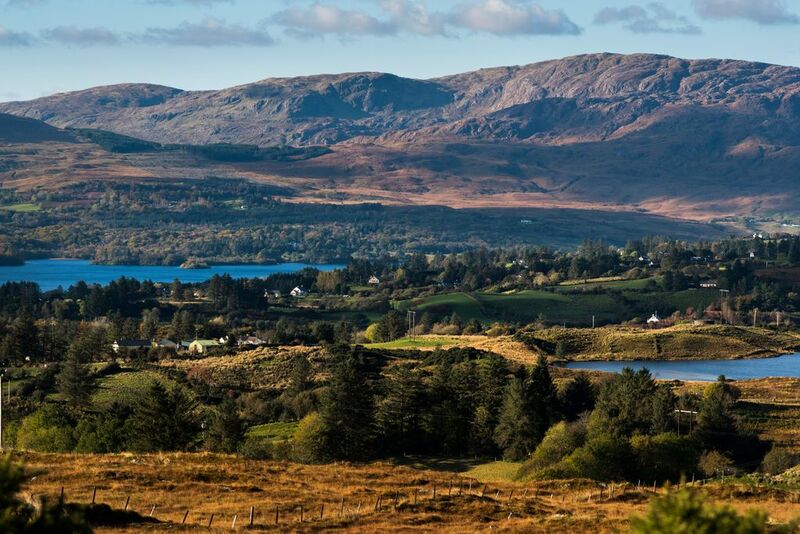 Killarney is located in the picturesque county of Kerry and is one of the most visited towns in Ireland. 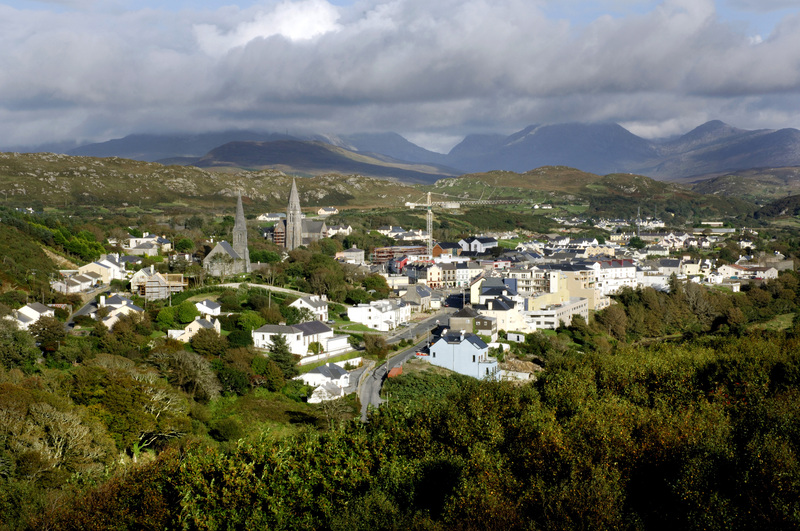 The town offers a backdrop to Killarney National Park and the place is full of activity around St Patrick’s Day in Ireland. 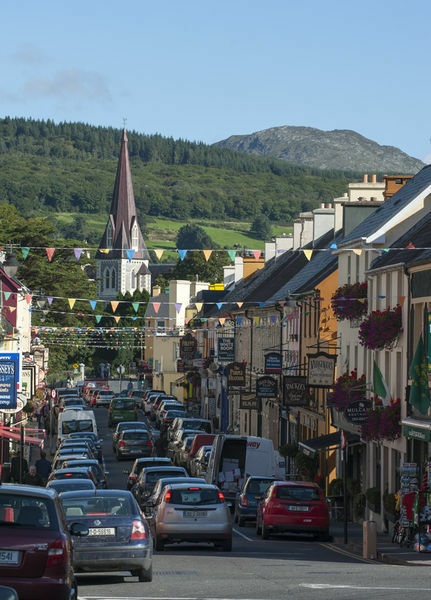 Killarney as a town has a long tradition of celebrating with an annual parade through the streets being a focal point and is an event that takes place over a few days. The festival has kid zones, street ceilis, themed lake cruises, treasure hunts and lots more for everyone. 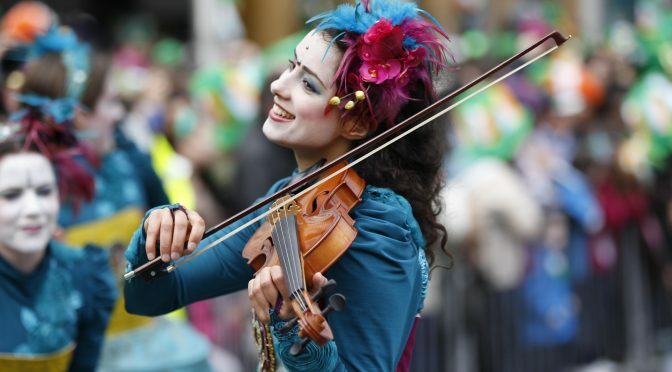 2019 will be the 177th anniversary of the Galway St Patrick’s Day Festival and it promises to be a festival of all things Ireland. A great place to see the parade is the famous Eyre Square where the parade finishes with the iconic fountain in the heart of the square going green for the occasion. The parade will feature a range of community, cultural, sporting and international groups. Galway’s festival is about Diversity and is a platform to showcase local artists, community groups, the diverse range of talents in the city through the parade events. 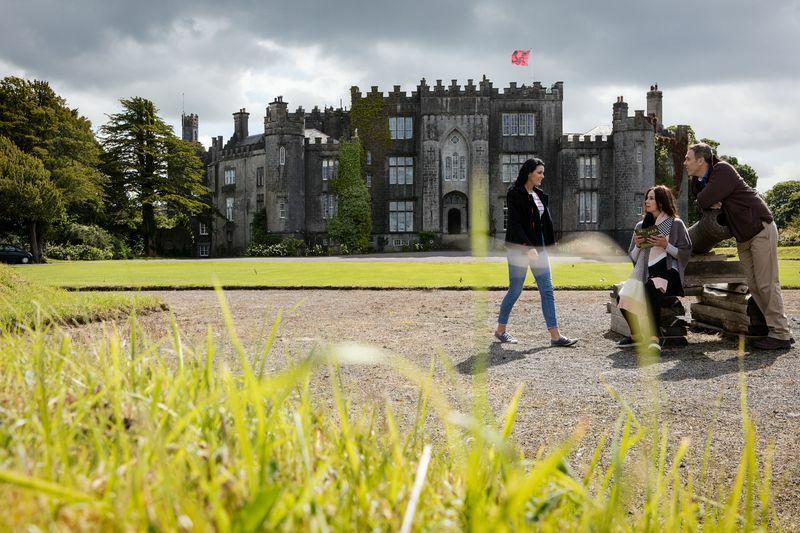 Kilkenny city is full of culture, heritage and the arts – these are the platforms that they will celebrate St Patricks Day in 2019. 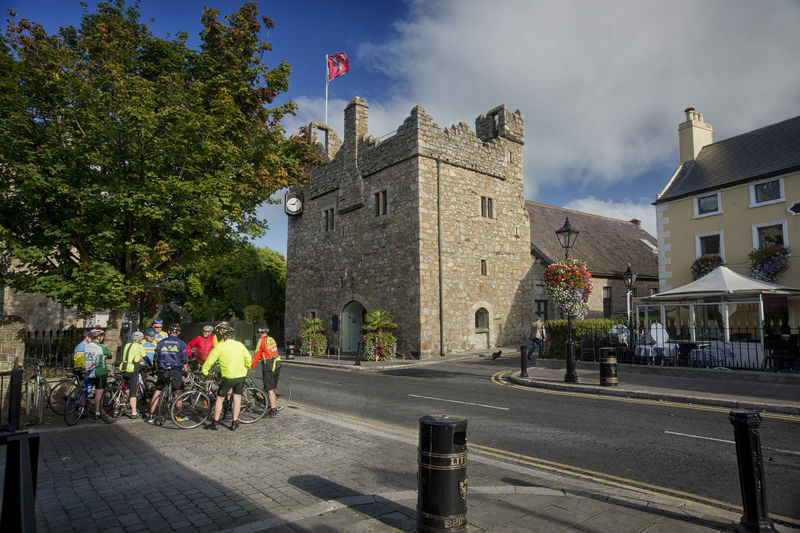 Kilkenny showcases an annual parade with lots of community events involving, schools, businesses, community groups who participate together to bring a memorable festival to visitors in Kilkenny with its renowned hospitality. 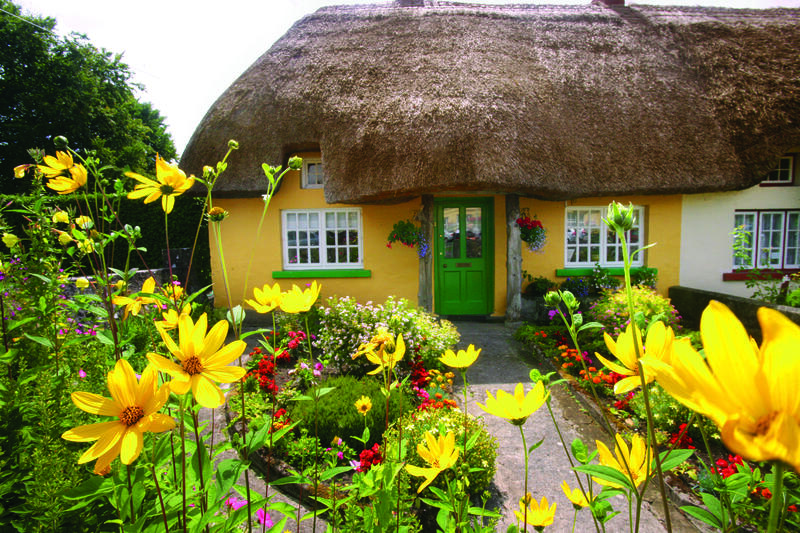 The theme of the festival in 2019 is “ Bring back the Bees” with the bees being an important part of Ireland’s food ecosystem, to protect their biodiversity. 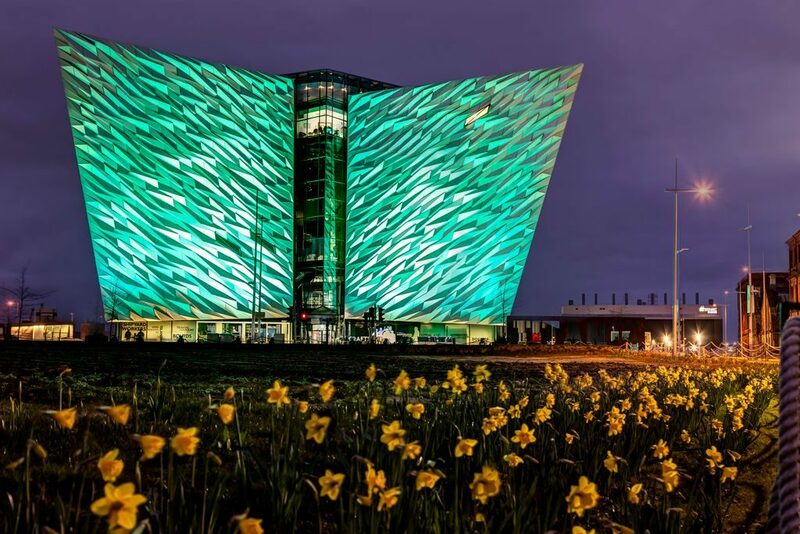 If you are up and around Belfast around St Patrick’s weekend, it is a great city to enjoy the spectacle with friends and family with something for everyone. 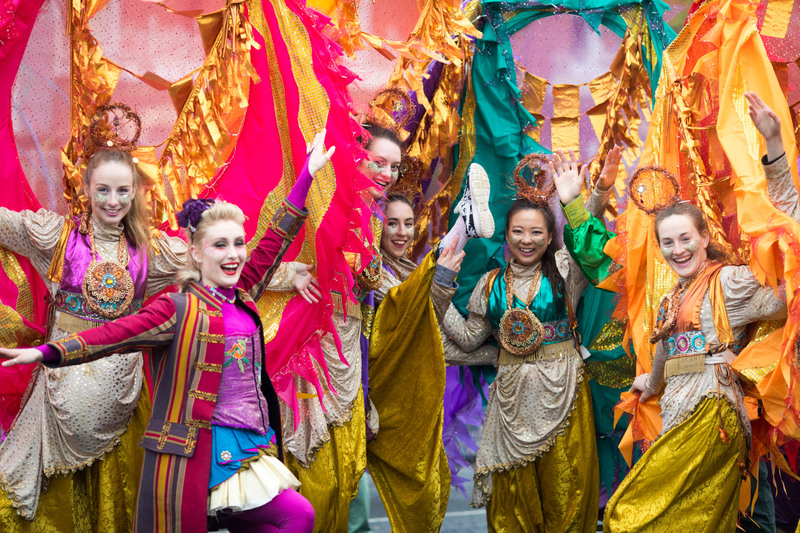 There will be a vibrant carnival parade and colour with the city centre being full of colour and music. See some eye-catching floats, performers and costumes. 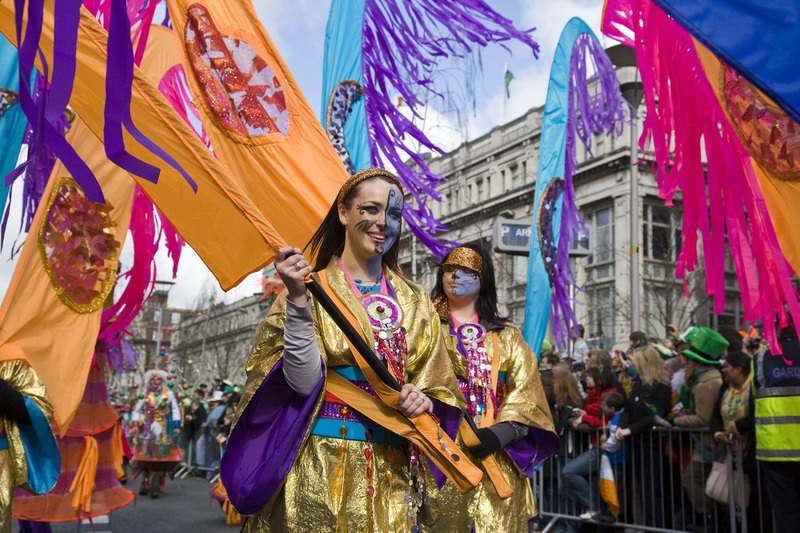 Derry – Londonderry offers a Spring Carnival that includes a St Patrick’s Day Spring Carnival Parade. The festival will be the celebration of children and young people. The themes will explore the depictions of youth in myth and legend in the traditions of Celtic life and the many diverse cultures across the world. There will be a chance to see mystical creatures make their way through the city representing young people from fables, fairy tales to faraway lands. This is a great festival for all friends and family to enjoy and be entertained. 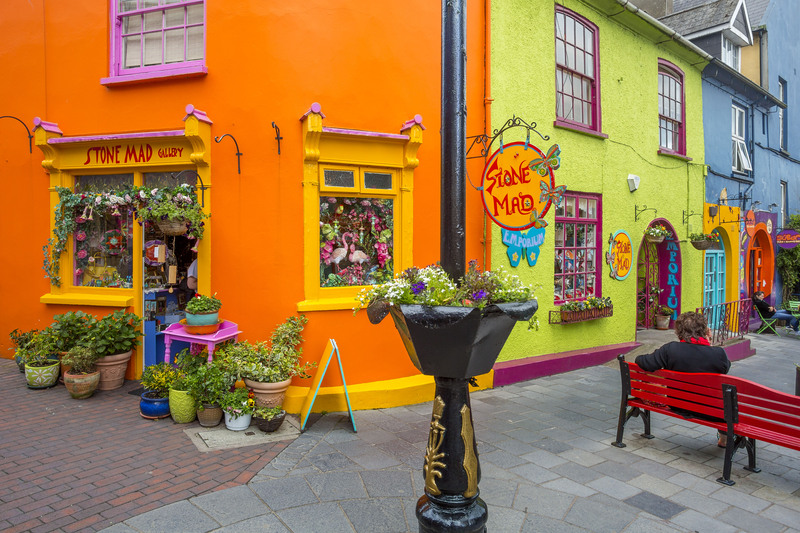 Waterford is Ireland’s oldest city and is well renowned for its Viking Heritage and Culture and it packs a punch too for St Patricks Day. The festival will celebrate Colour, Culture and Community. The Waterford Parade will aim to showcase the cultural influences over the years that has helped to build stronger communities. The festival will be a mix of sport, food, business, national hobbies and the arts. 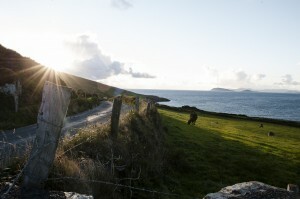 Ireland is known throughout the world for its quality of beers and spirits. 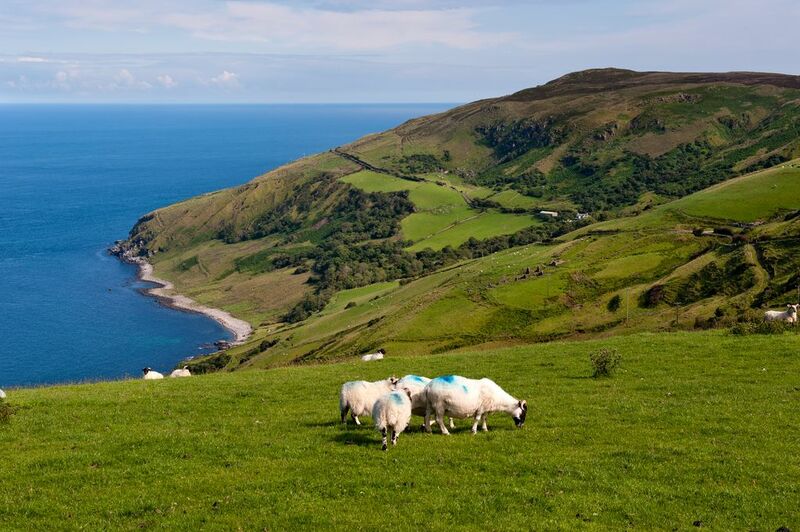 Food and drink go hand in hand and Ireland has some excellent food choices that will not disappoint. 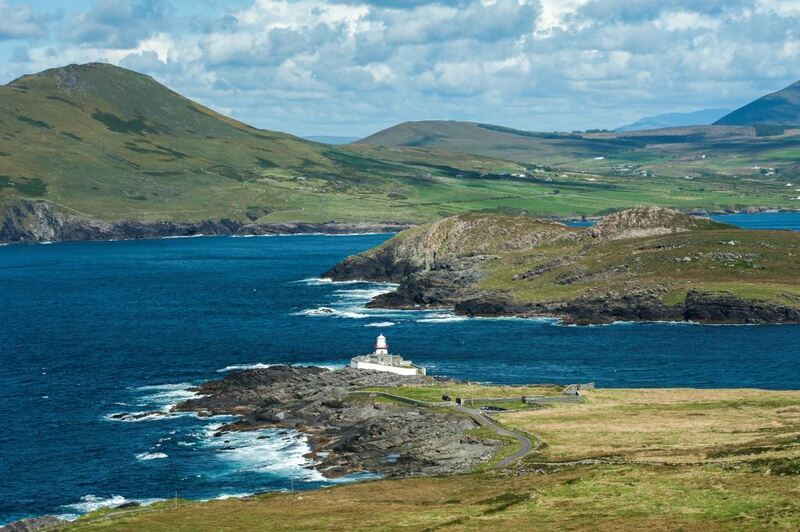 Below is a list of some of the best food in Ireland to try on your next visit to Ireland. 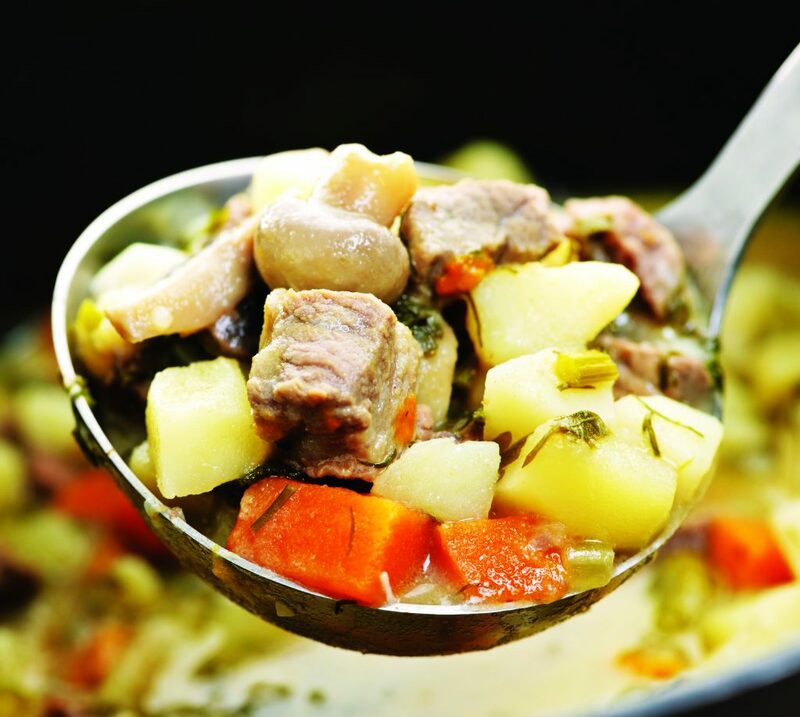 Irish stew is fittingly one of the best foods in Ireland and most popular. The ingredients that are put in a stew can vary depending on where you eat it but traditionally it will include lamb meat, potatoes and onions flavoured with barley. The stew is traditionally cooked in a pot over a number of hours at low temperature to give it the best taste. In order for the stew to not become too watery, other ingredients can be added such as herbs and spices; the stew can be thickened by using a lamb stock. Try it and you won’t be disappointed!! 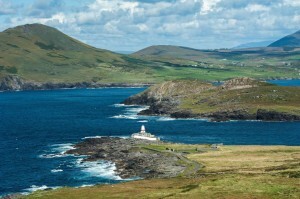 There are lots of shellfish options in Ireland and it is very popular in Irish cuisine. 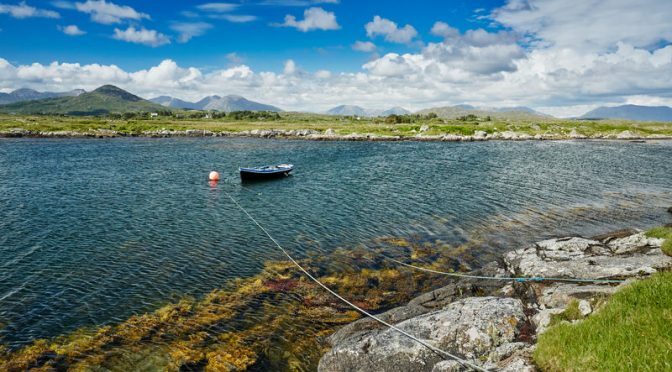 On the west coast of Ireland, you need to sample the oysters, which comes into season in September. 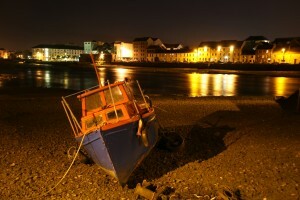 Galway Oyster Festival is “Ireland’s longest running and greatest gourmet extravaganza” – The Rough Guide publication. It is held between September 20th – 24th. 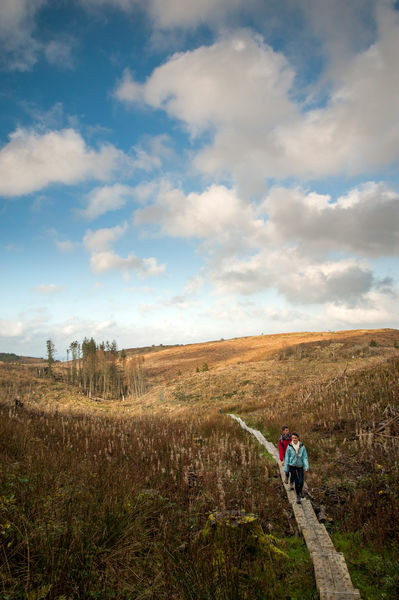 If in Ireland around this time – it is worth going to. Other shellfish options to sample are clams in Connemara to Molly Malone’s famed cockles and mussels, and prawns from Dublin Bay. There is a prawn festival on in Howth Co Dublin. 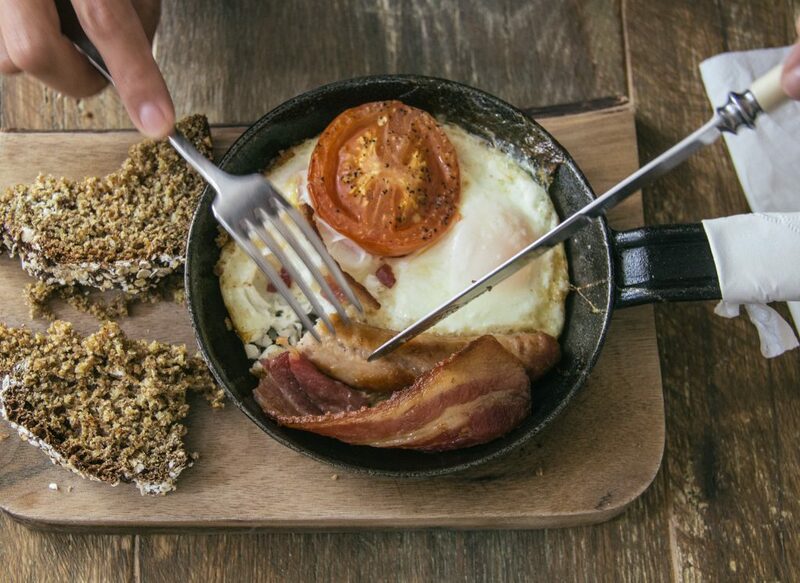 This type of food can be found in a traditional Irish breakfast or as a stand-alone commonly found on menus as a starter. 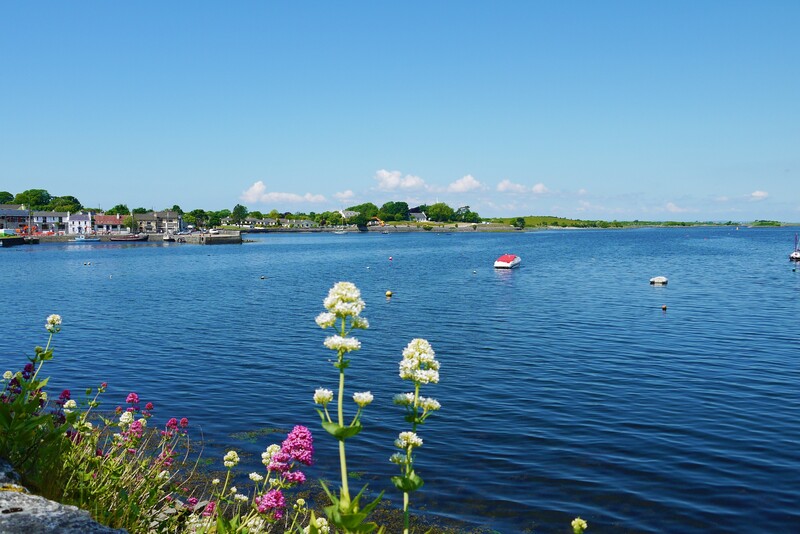 The most famous flavours of black and white pudding come from Clonakilty or in Kerry you will find the Sneem black pudding which is extremely popular. Pudding is not unique to Ireland but the recipe here is quite special. 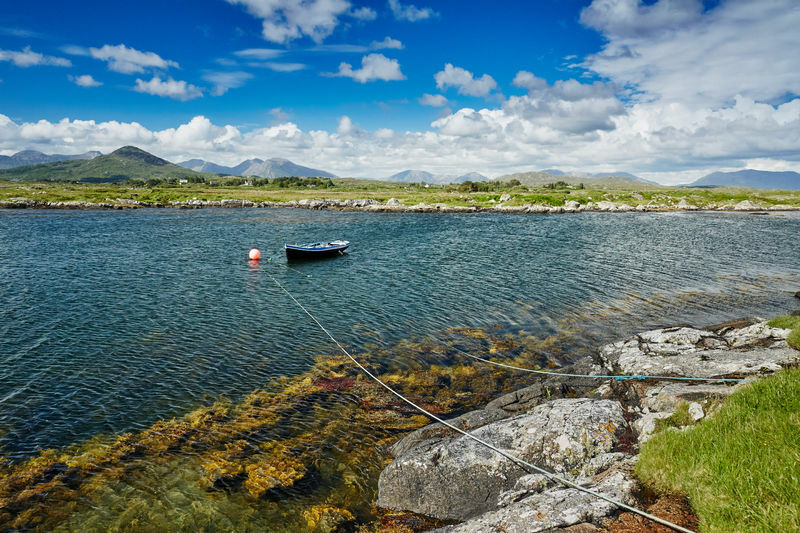 Ireland is renowned throughout the world for its quality of seafood offering. Smoked salmon is a must try while here. 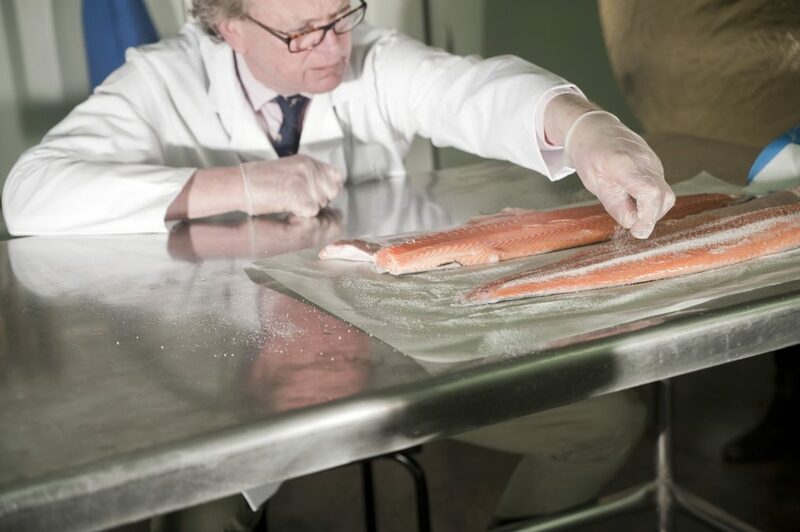 Oak smoked salmon from the Burren region on the West Coast of Ireland, the beechwood smoked salmon from the Connemara Smokehouse or in Killarney or Cork try the award-winning smoked salmon from Quinlan’s fish restaurants. 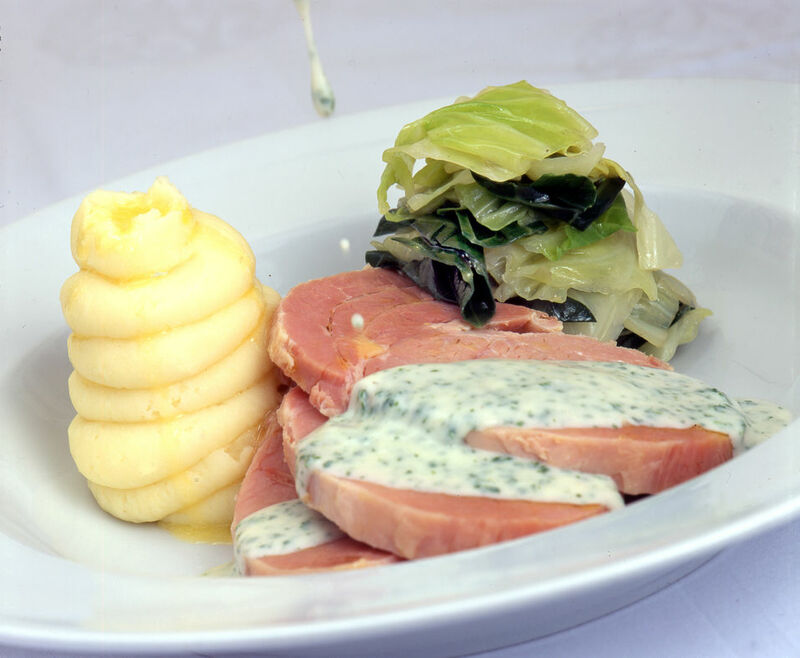 On the menu of an Irish pub or restaurant that serves traditional Irish food will be boiled bacon and cabbage. This is a firm favourite among Irish homes and is served with boiled potatoes and can come with different sauces such as parsley. 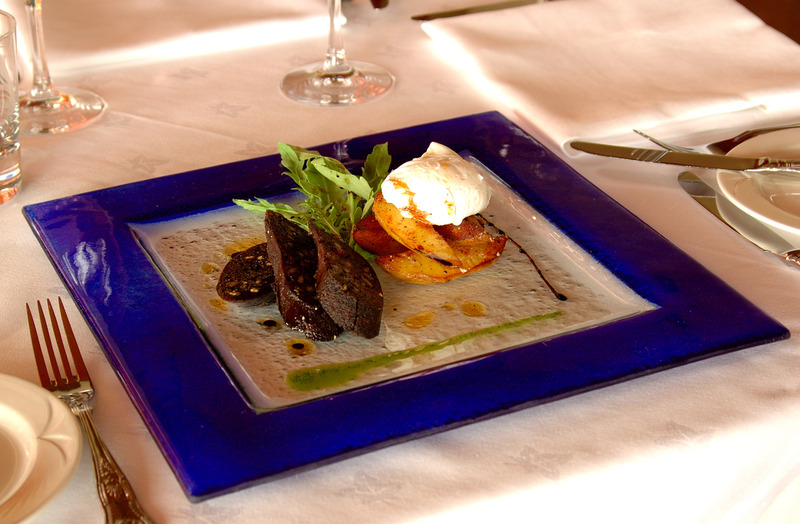 The flavours of the food are incredible and will leave you extremely satisfied. 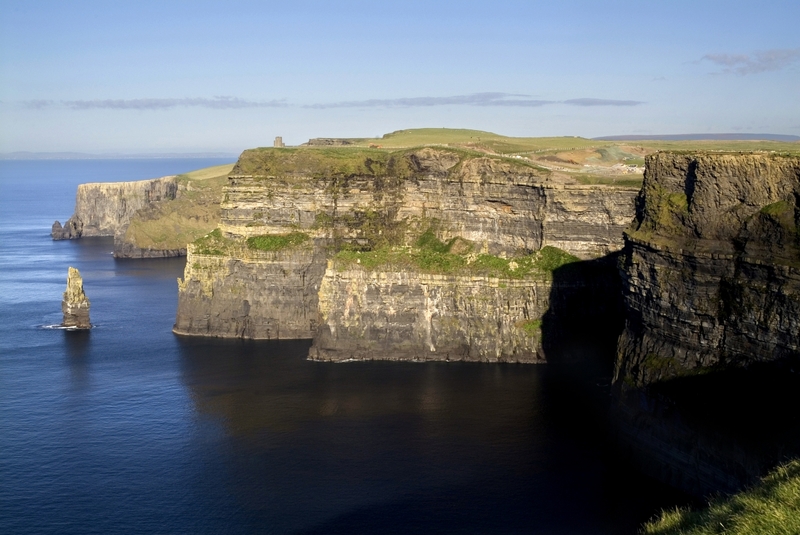 This is something that you should not depart Ireland without sampling. Like tapas are to Spanish food culture, soda bread is part of ours. Every person who makes the bread has their own recipe and adds their own unique flavour to it. The main ingredients of the soda bread are bicarbonate of soda and buttermilk form the raising agent, which is mixed in with flour. It is sliced and butter used as a topping and can be served with soup or used in sandwiches. 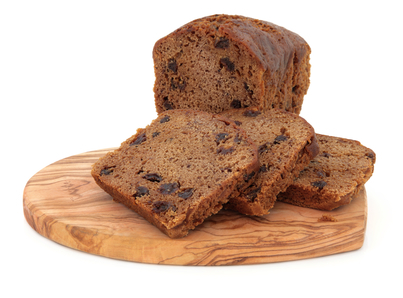 Barmbrack is another type of bread and it is normally had during lunch or an evening snack. It is a type of bread that is distinctive to Ireland. This bread is typically very popular around Halloween time. It is a mix of half bread and half raisins and served with butter and jam, tea or coffee – there is nothing quite like it. The traditional full Irish fry is similar to the English fry but we have our own twist on this breakfast classic. Normally, this is had at breakfast and it will set you up for the day. In Northern Ireland, you will find the Ulster Fry which is very popular and is something that you needs to taste while visiting the island of Ireland. Usual ingredients for a fry are bacon, sausages, mushrooms, black and white pudding, fried eggs, hash browns, tomatoes and beans. 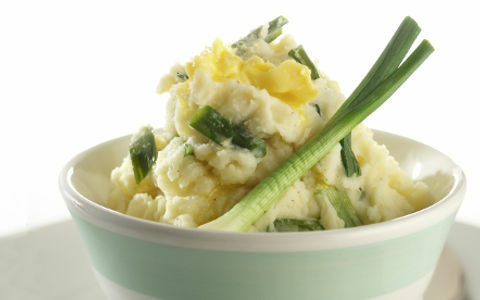 In essence, colcannon is mashed potatoes mixed with chopped cooked kale, green onions, milk or cream and lots of butter. During St Patrick’s day, it is a particular favourite in Irish homes. This is served by making an impression in the middle of the mash and adding some butter. 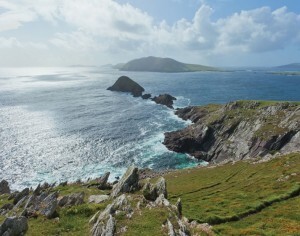 What is special about Irish food is that many counties have some foods particular to them. 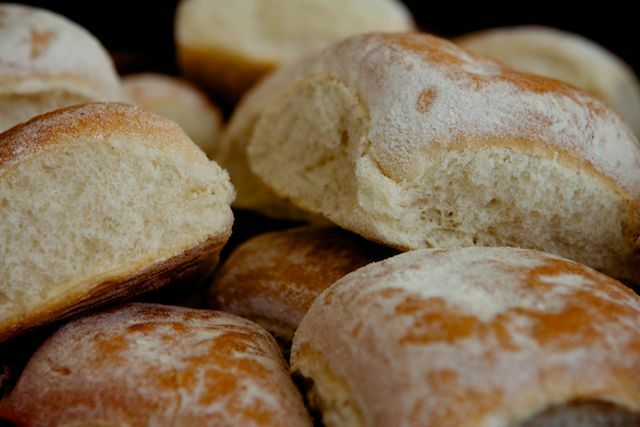 The Waterford Blaa is bread but it is particular to Co Waterford. It can only be termed a Blaa if it comes from Waterford. 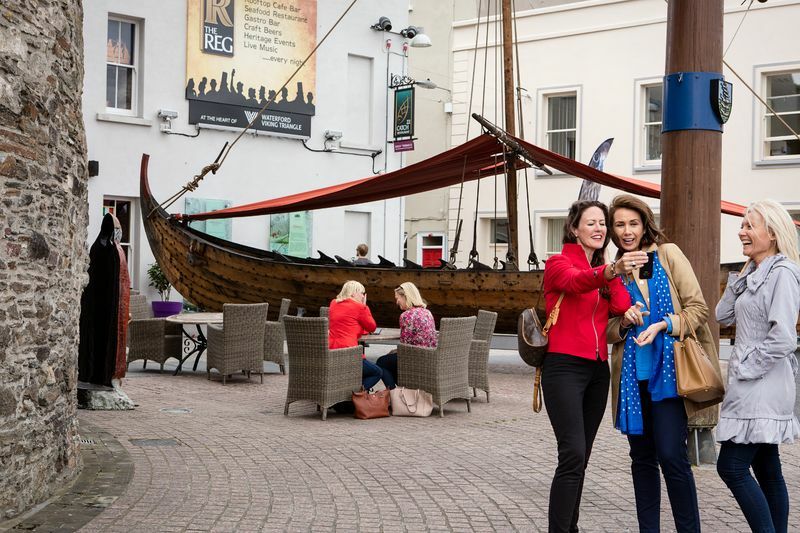 Visit Waterford in order to try a Blaa – Waterford city is the oldest in Ireland and it is also known for its Viking culture. The Blaa goes well with butter or bacon (known as rashers in Ireland). This promises to live up to expectations. 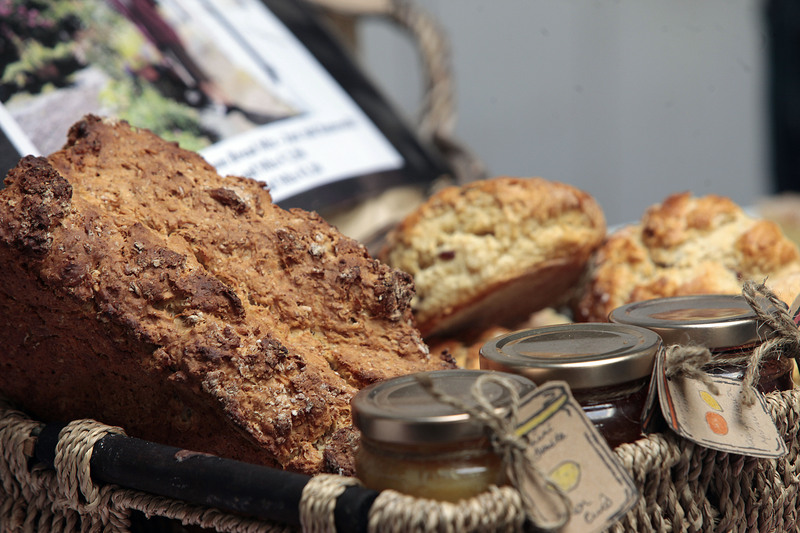 All these foods can be found on our tours of Ireland and will be on most restaurants, café or pubs menus. 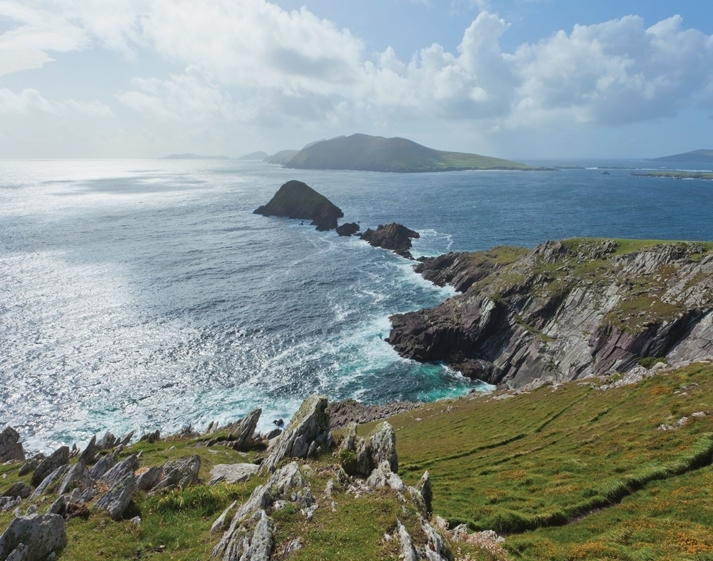 If you require any further information about our 2019 tours, please get in touch and one of our Irish based travel experts will be here to assist you in creating your dream holiday to Ireland. 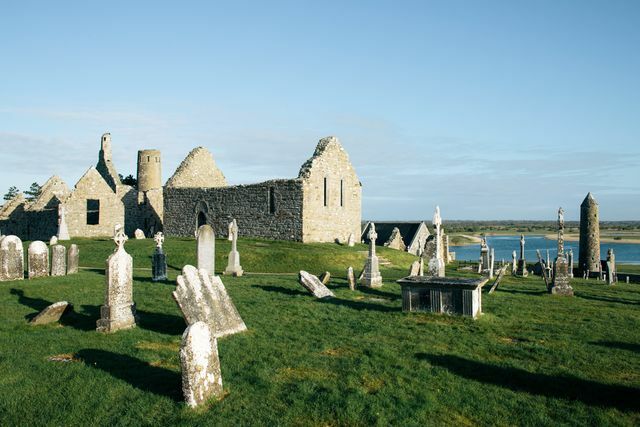 Ireland is famous for Halloween and some ghostly places to visit since its origins date back to the ancient Celtic Festival of Samhain. The origins of Samhain are from Celtic pagan roots and is a festival in Gaelic and its meaning is the end of the harvest season and the beginning of Winter. This festival is traditionally celebrated from October 31st to November 1st. 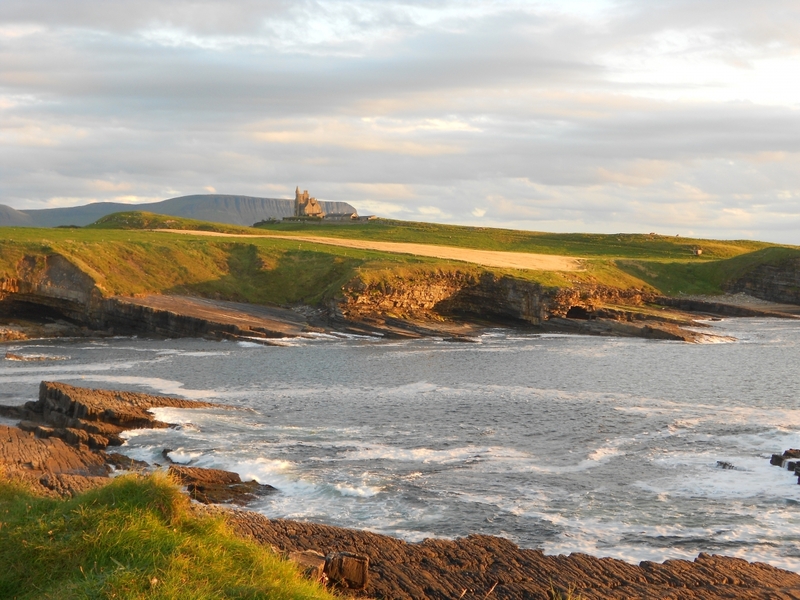 In this month’s blog are some recommended places to visit in Ireland at Halloween to that will not disappoint. Around the globe places vie as to where is the best place to celebrate Holloween. Think of Transylvania, home of Dracula or Salem Massachusetts for its heritage of witches. Derry can be regarded as one of the best destinations when it comes to celebrating Halloween, the city is truly one of the most memorable places to visit during Halloween season. The city of Derry packs a punch when it comes to Halloween and in 2015 USA Today named Derry as the “best Halloween destination in the world”. 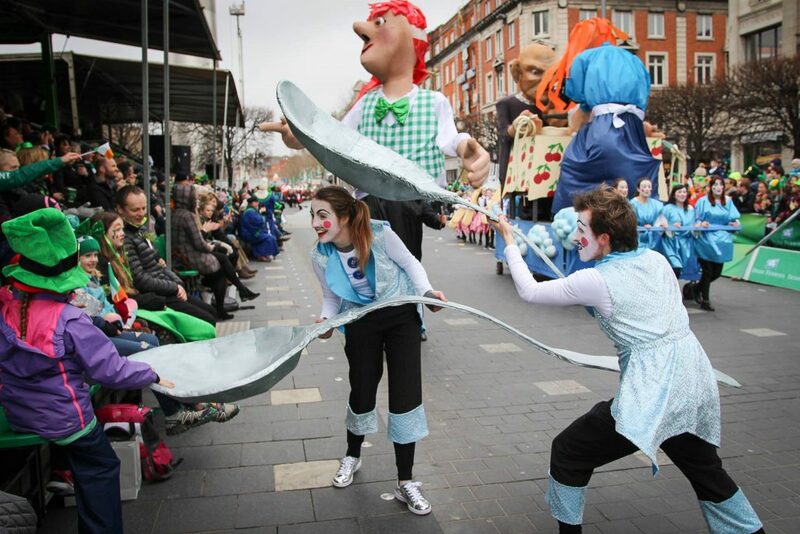 Derry as a city is full of creativity and puts on a spectacular show with creative costumes. This history of great costumes comes from the people of the city with its heritage of shirt factories. The festival usually runs annually from the 26th of October to the 3rd of November and there is something for everyone and with a mix of music and harvest markets for foodies. 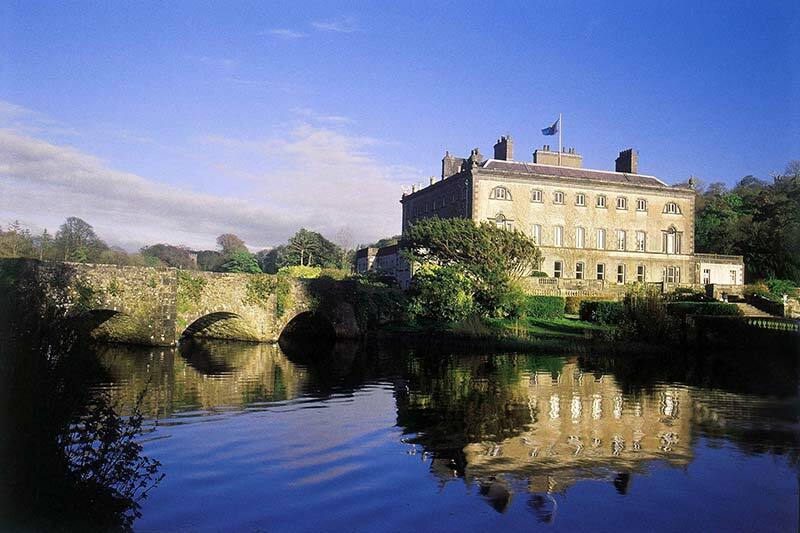 Westport House located on the West of Ireland in Co. Mayo which promises to scare you during Halloween season. This festival is normally happening on the 27th to the 31st of October annually. It is a perfect treat for individuals or all the family and has something for everyone to enjoy. During the festival for Halloween, the Estate House is transformed into a spooky old mansion and visit the dark dungeons where Pirate Queen Grace O’ Malley locked up her prisoners. There is lots more to this Halloween festival and worth a visit. 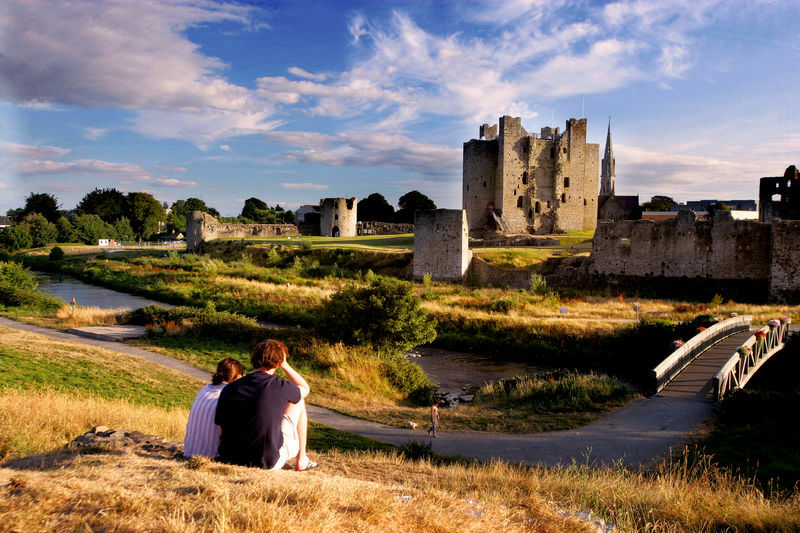 This festival happens all around Meath County in the historic Boyne Valley from 6th of October up until 4th of November annually. 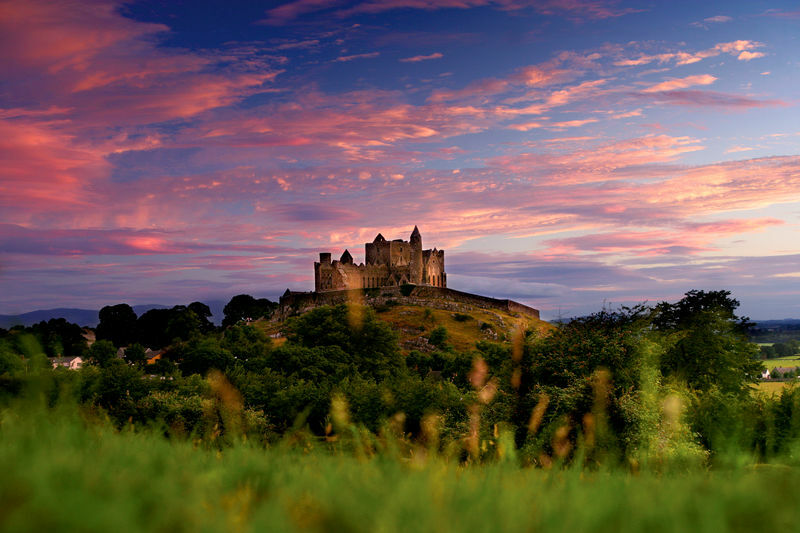 It is one of Ireland’s biggest Halloween festivals and a short drive from Dublin city centre. The festival goes from Haunted Hills to Eerie Graveyards, Tour of Shadow to friendly witches to spells and terrifying Terror Houses. 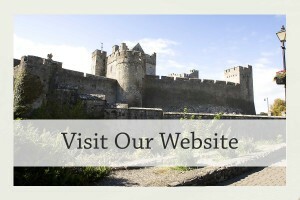 You can visit during the day and be spooked at night. 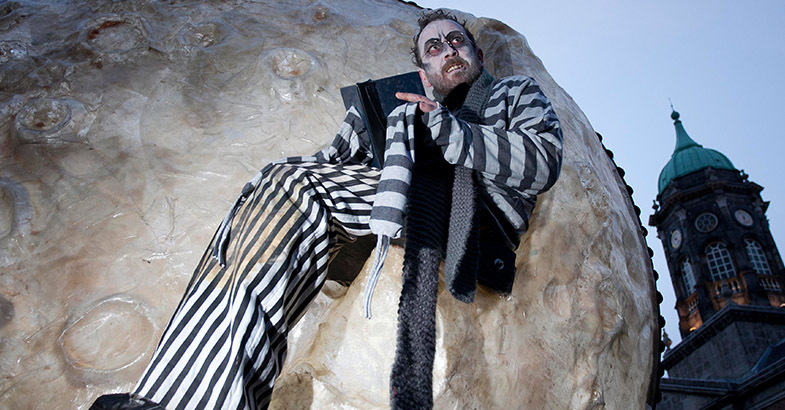 The Spirit of Meath Festival makes for an electrifying display of Halloween horrors. 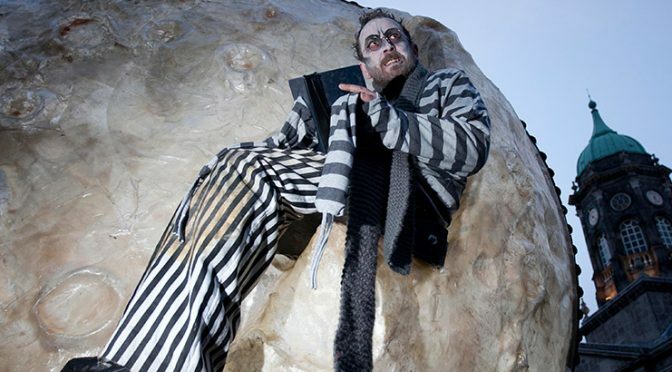 This festival offers 4 days of adventure usually between 26th – 29th of October and has something for everyone with its gothic programme of events in Dublin city. There are some free and some ticketed events for families and adults. 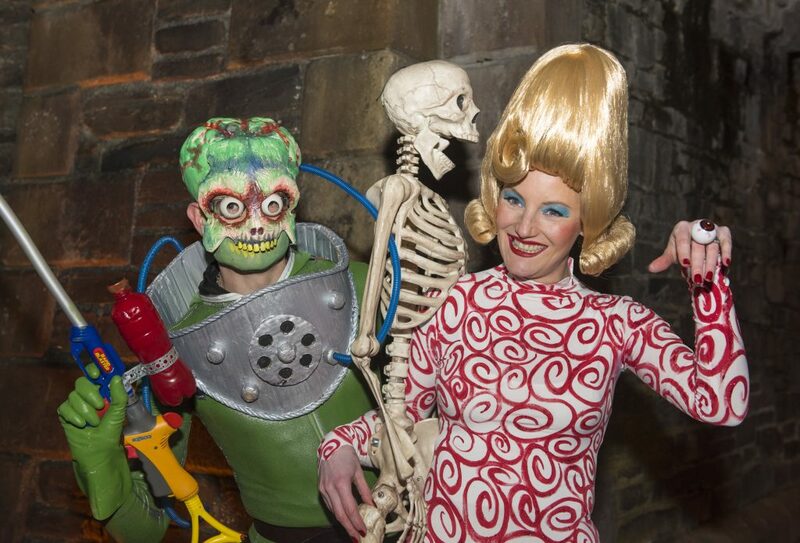 This a great way to experience Halloween in Dublin’s capital city. Bram Stroker was the creator of Dracula’s and worked in Dublin Castle as a clerk. 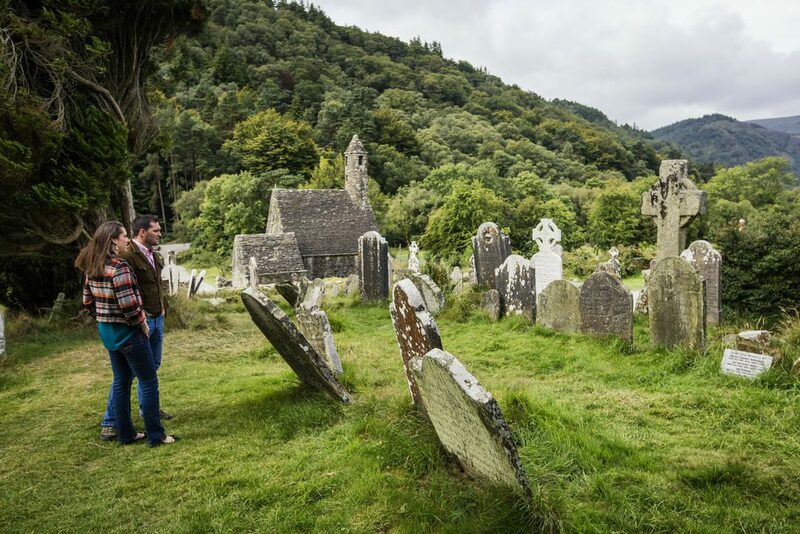 This Halloween festival celebrates the thrill of Halloween and the mysterious after dark and looks into the legacy of Ireland’s most valued authors. 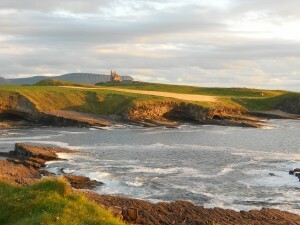 This is a great place to enjoy the Halloween fever on the island of Ireland. 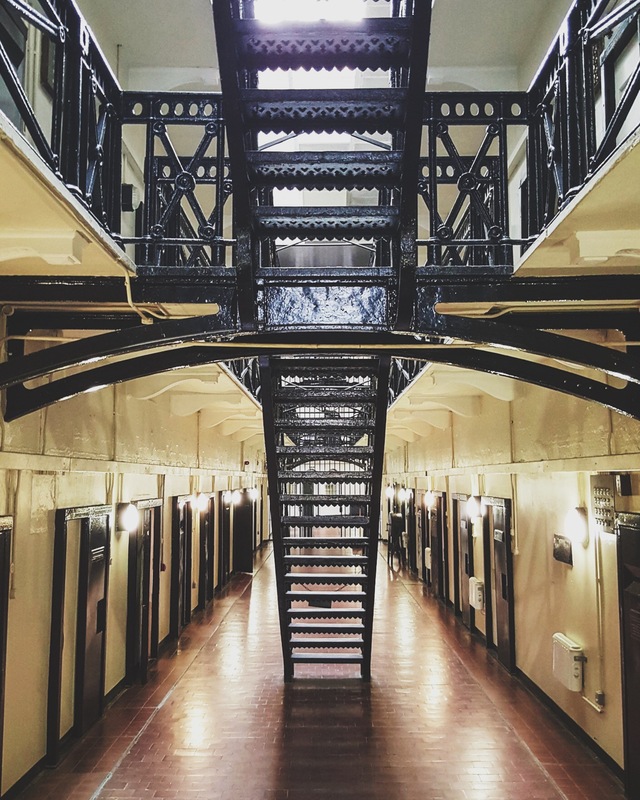 The Crumlin Road Gaol offers the ultimate Halloween ghostly experience from its history from when it opened in 1846 and closed in 1996. For over 150 years it was a fully operational prison and has lots of eerie stories that you will learn about. 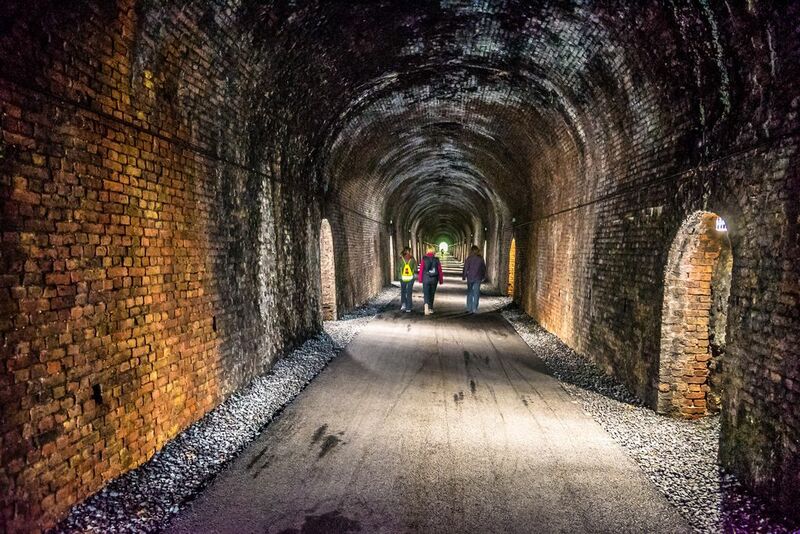 A great way to enjoy this is to take a tour and learn about all aspects of the Gaol from the tunnels linking the courthouse on one side of Crumlin Road to the hospital, graveyard to the hanging cell and Governor’s office. This prison has had over 25,000 prisoners, with 17 men executed and has witnessed deaths, marriages, births and have and has been the scene of escapes, hunger strikes and riots. Halloween and prisons become very popular as places to visit as they are famously haunted buildings and Kilmainham Gaol is not different. Ghostly tales surround the prison and it has been said that lights have mysteriously been turning on and off in the prison chapel. The prison is a symbol of Ireland’s past from militant and nationalism from the rebellion in 1798 to the Irish Civil War of 1922 -23. The leaders in these rebellion movements were detained in Kilmainham and sometimes executed. 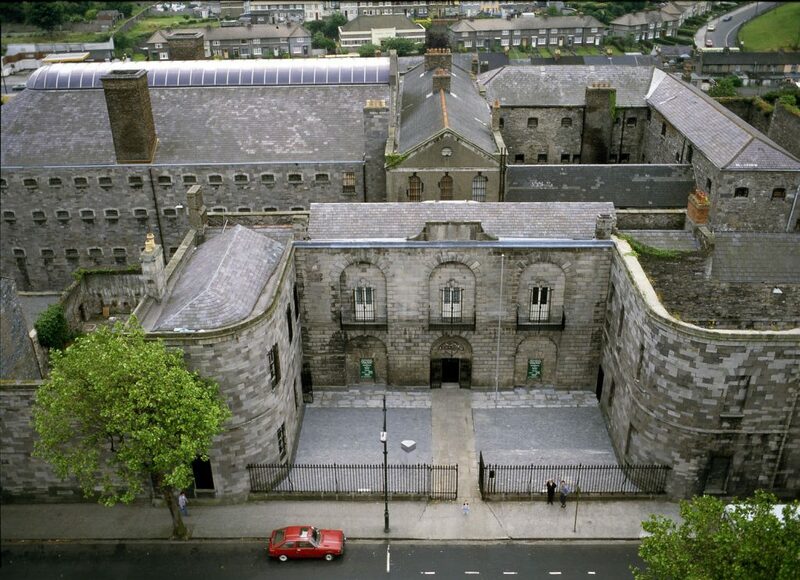 Opened in 1796 as the County Gaol for Dublin and it closed its door in 1924. 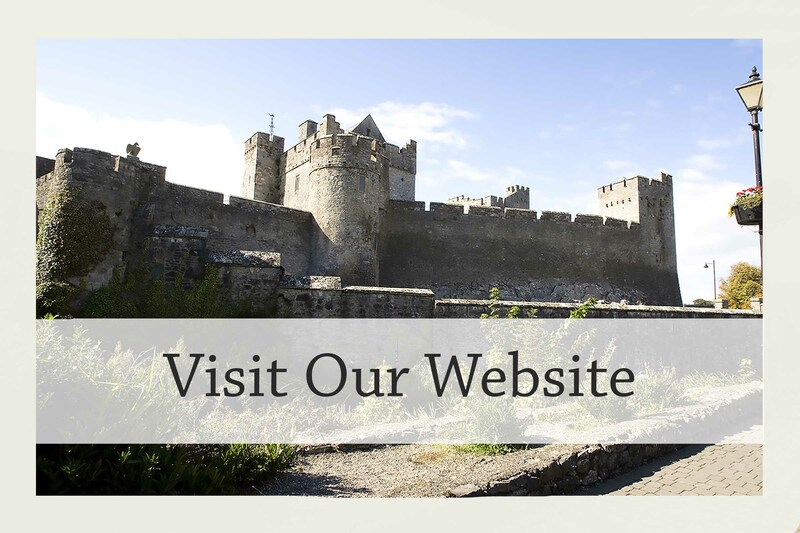 This is truly a great place to visit in Ireland as a Halloween attraction or any time of the year and experience some of Ireland history and listen to the ghosts of the past. The best way to learn about Halloween in Ireland is to visit! Contact us today for a free quotation including some or all of these locations today. 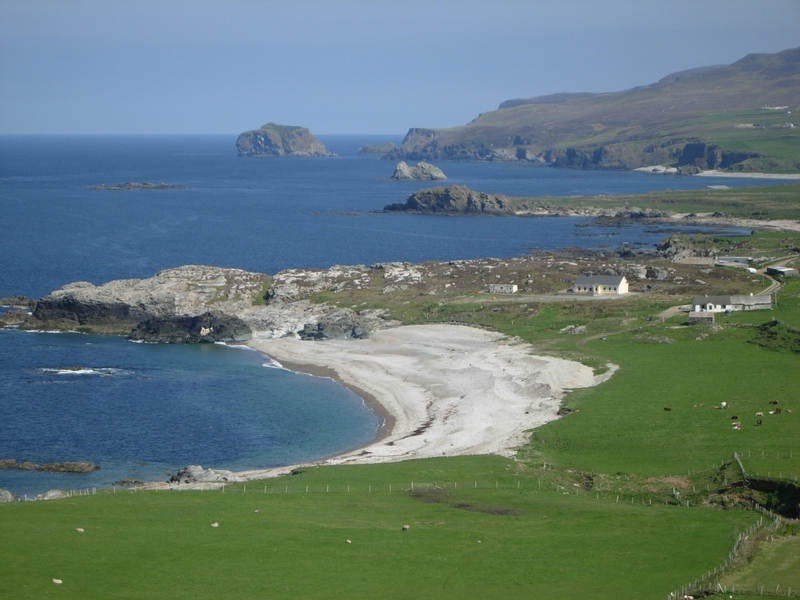 We can tailor your itinerary on any of our Self Drive or Chauffeured tours.